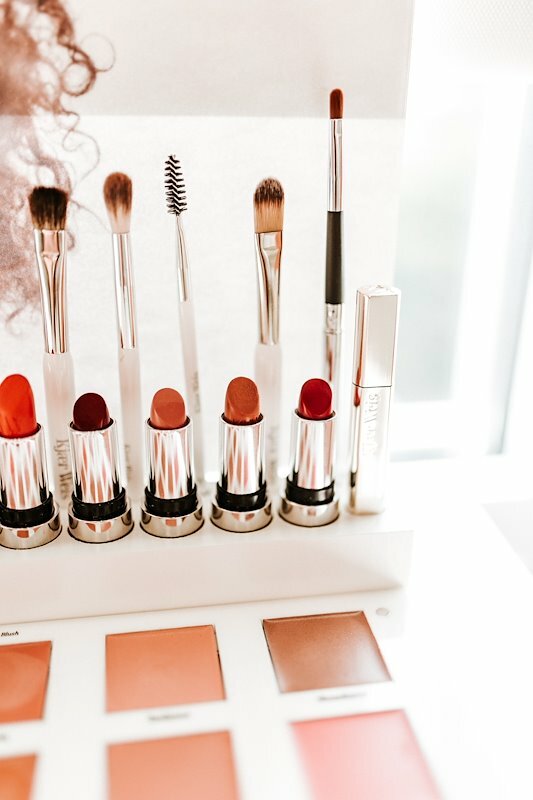 Making you feel as beautiful on the outside, as you are on the inside. 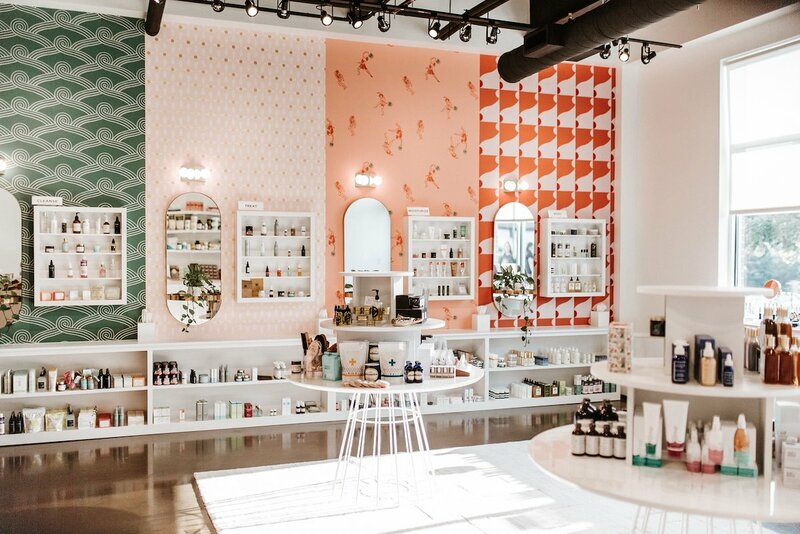 I took a Nashville trip back in August 2017 and it was nothing short of incredible! 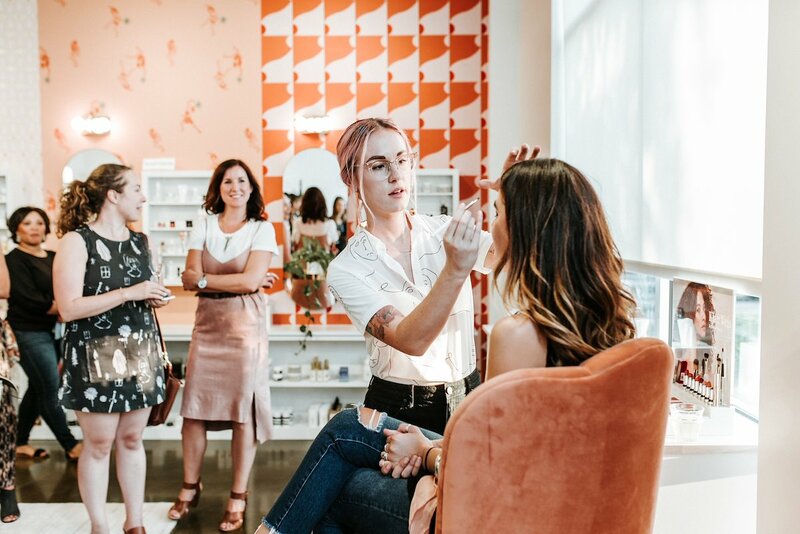 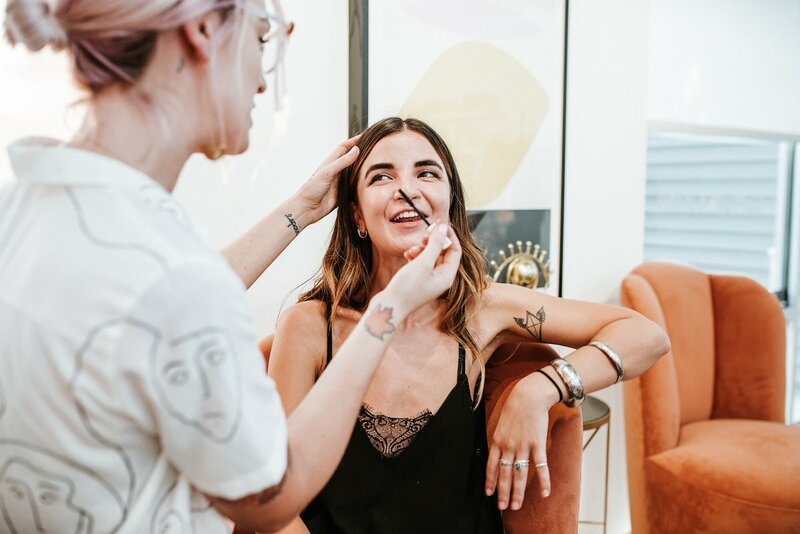 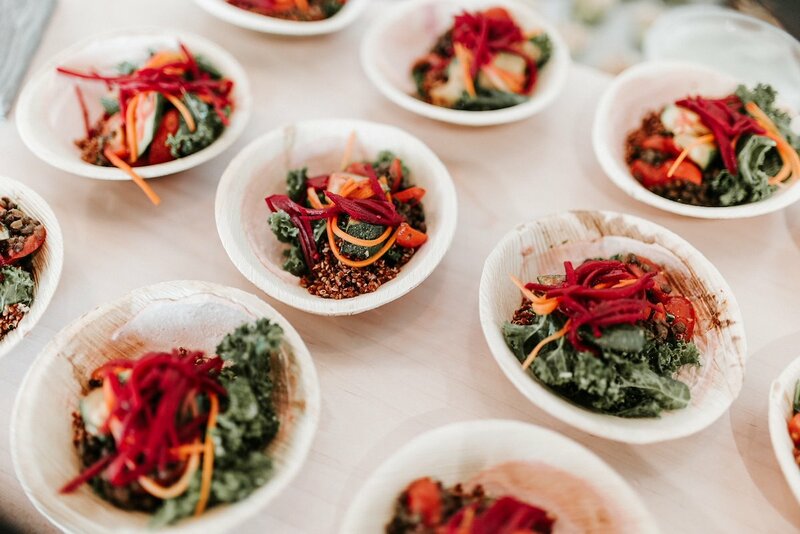 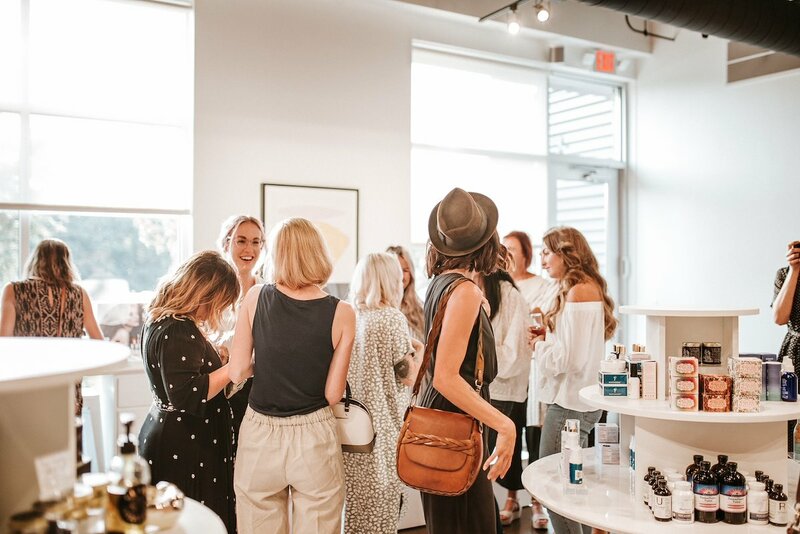 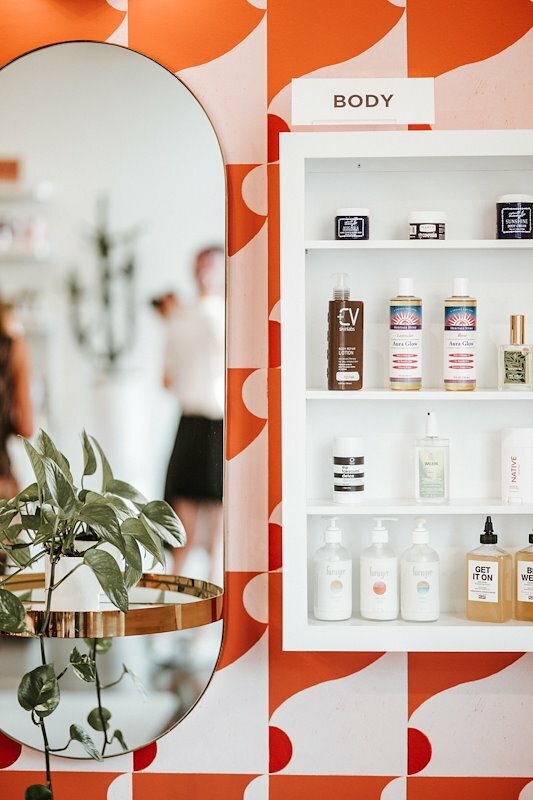 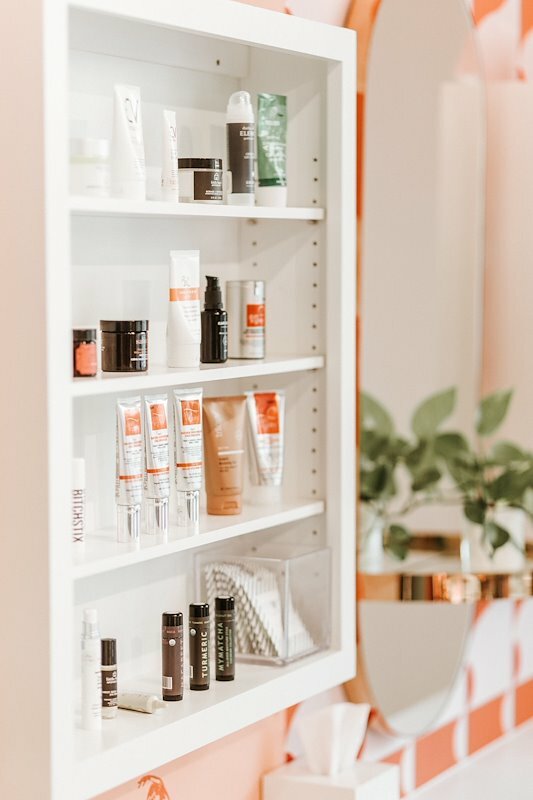 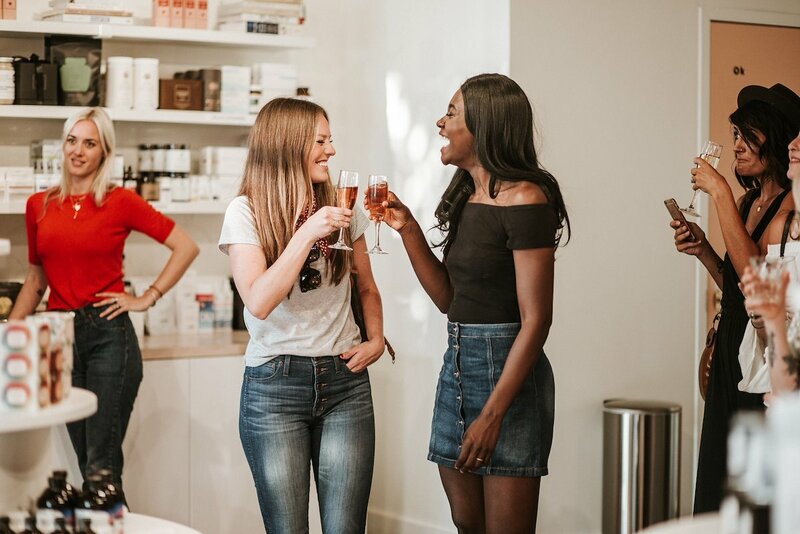 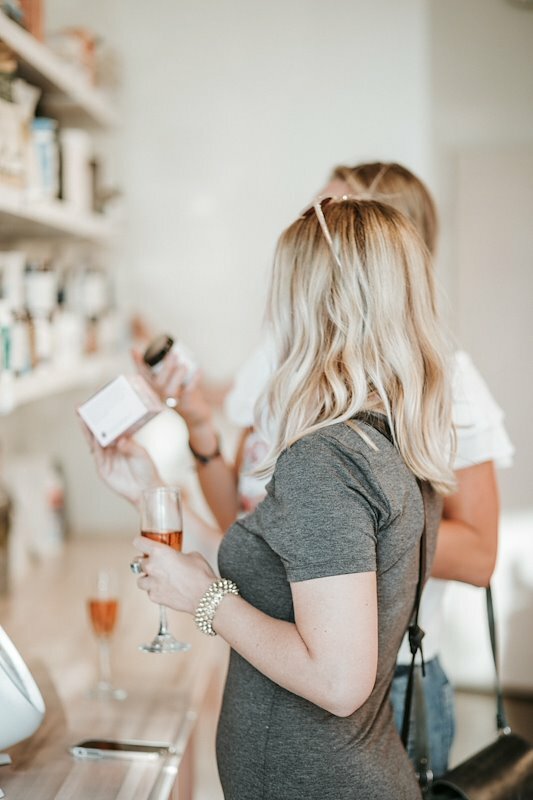 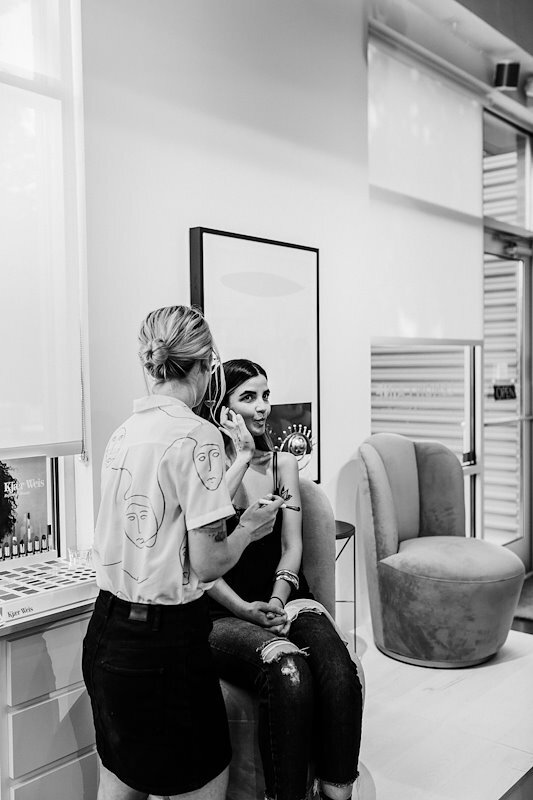 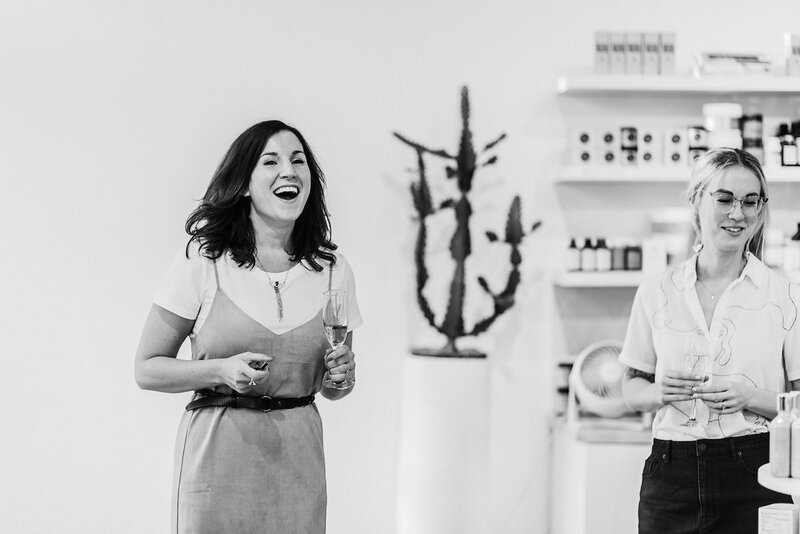 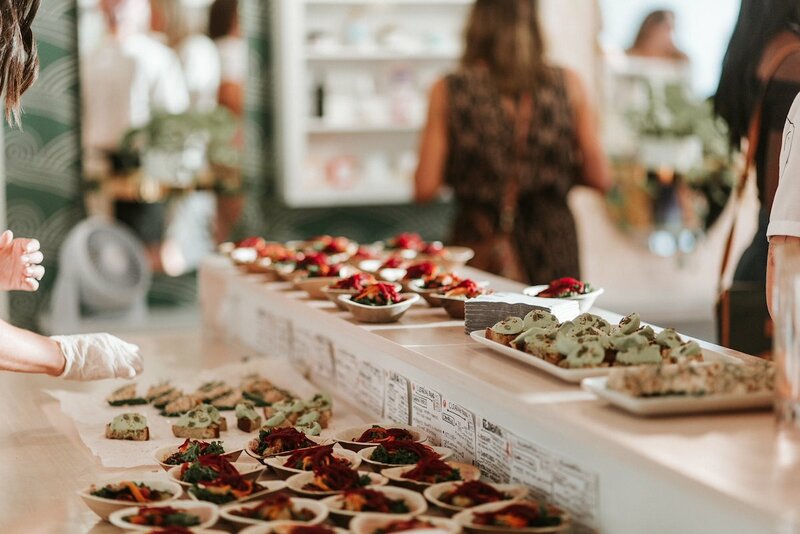 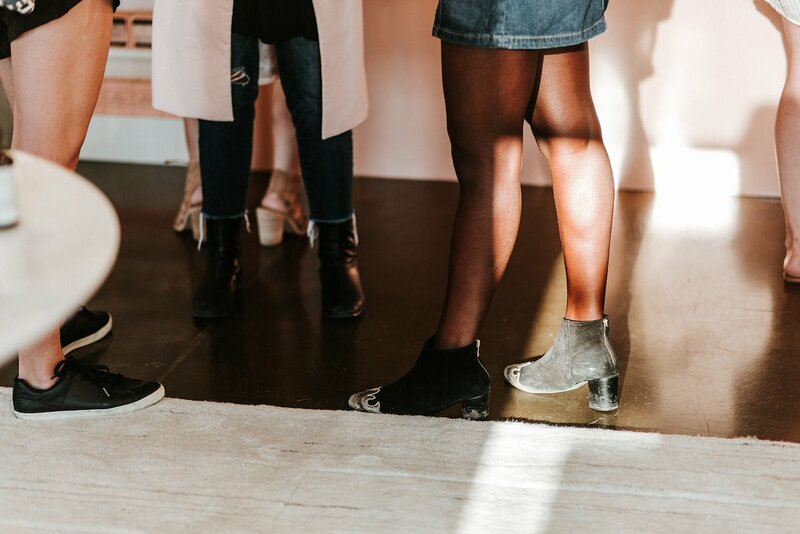 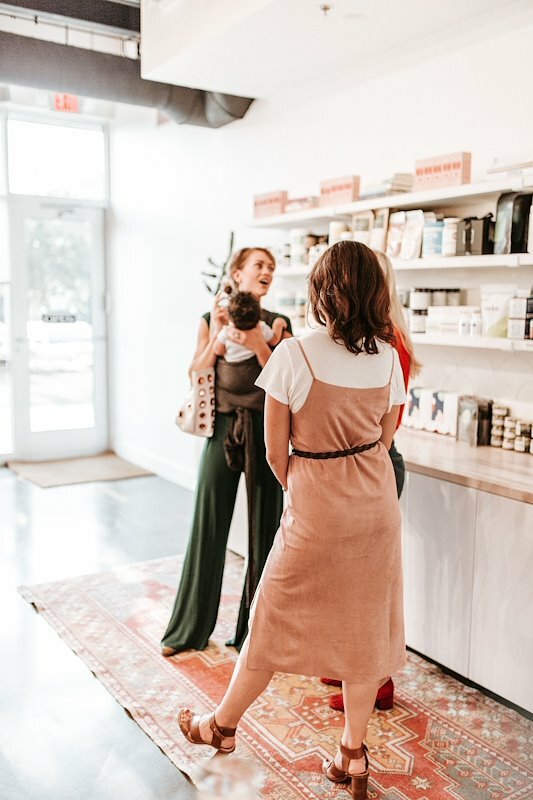 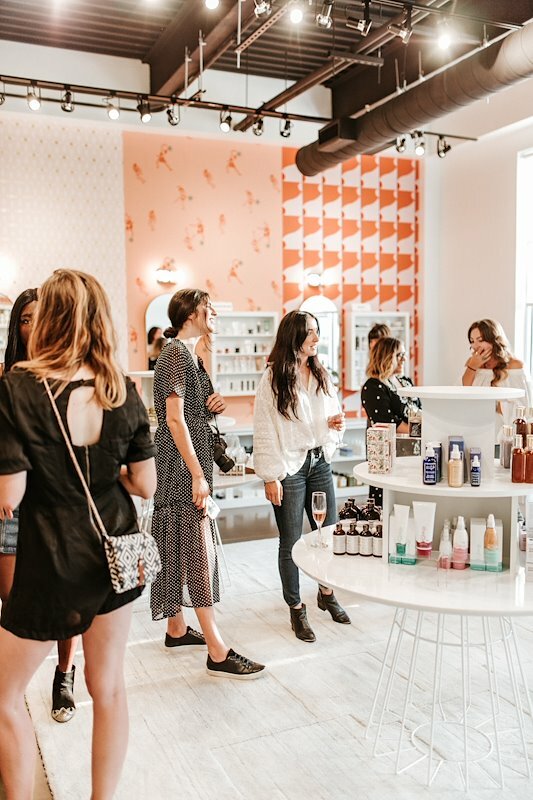 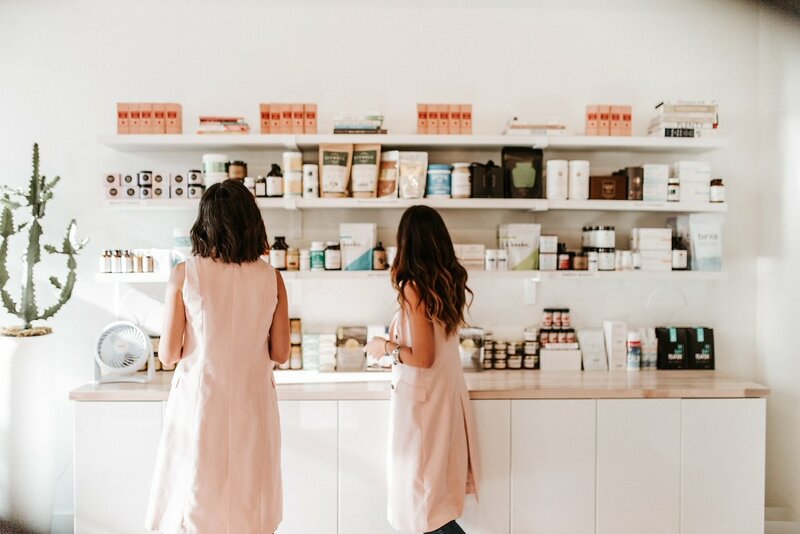 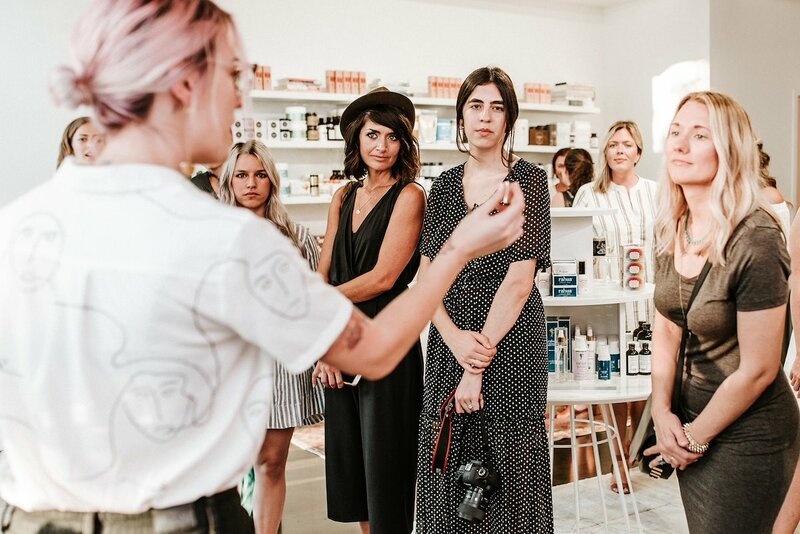 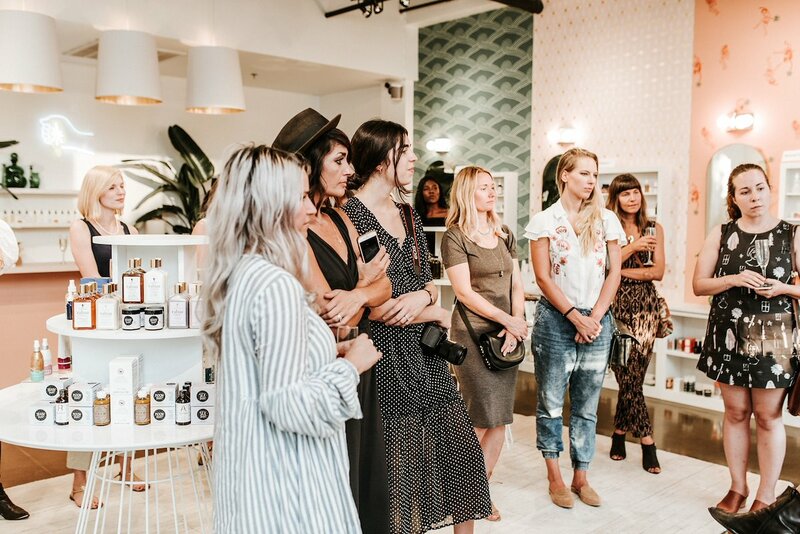 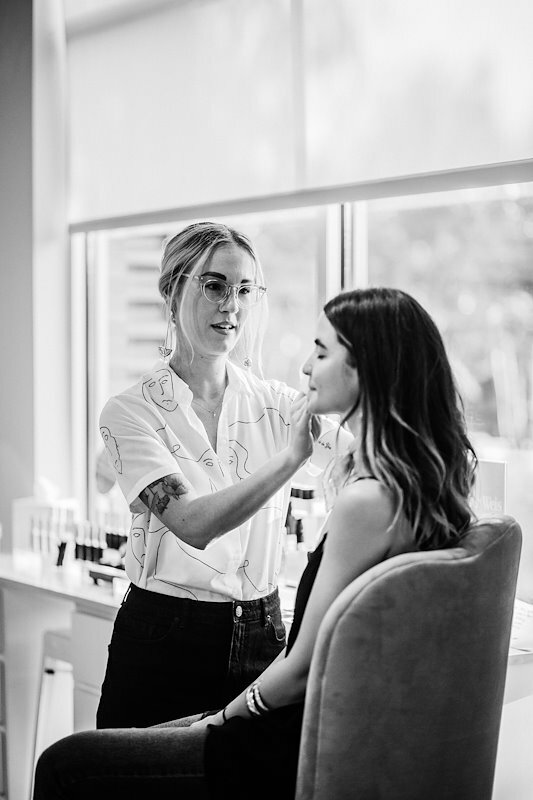 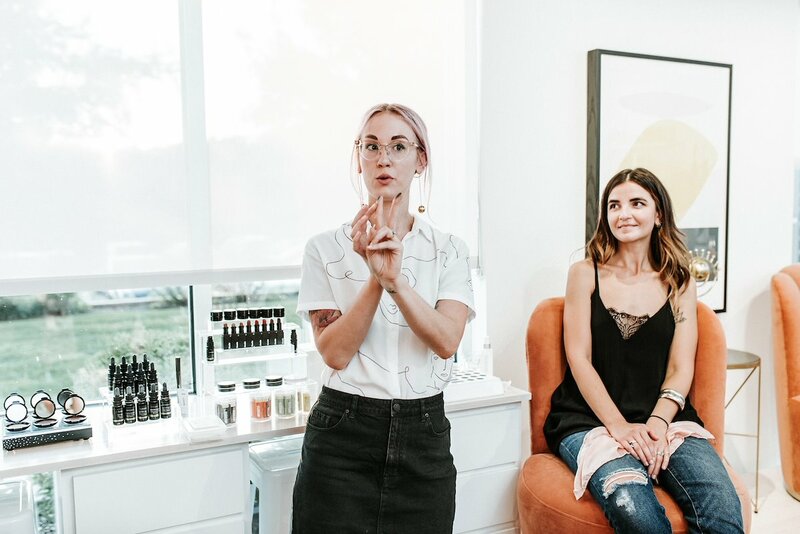 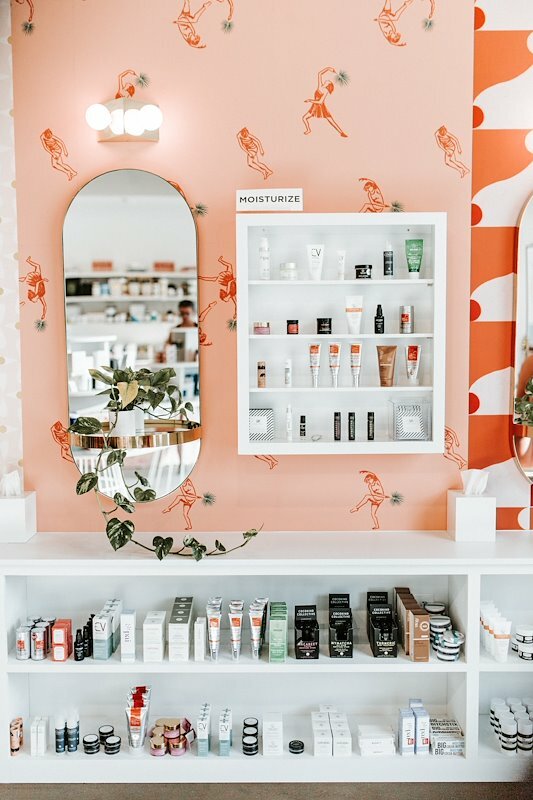 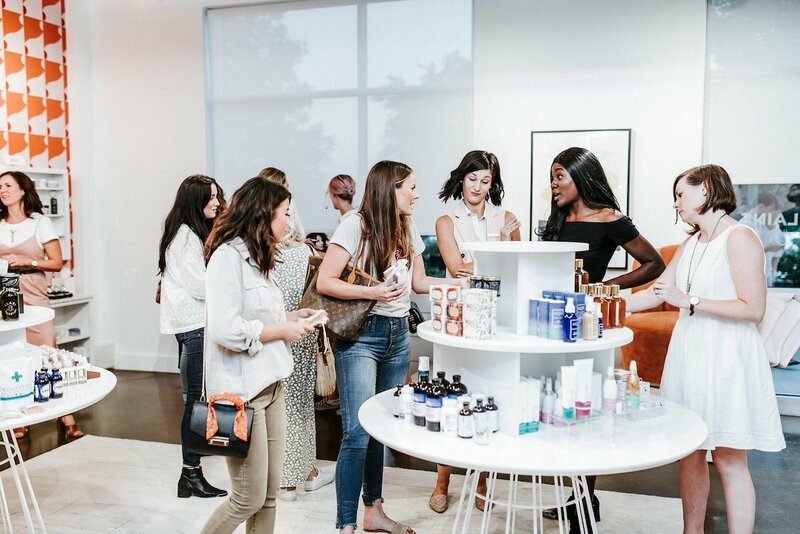 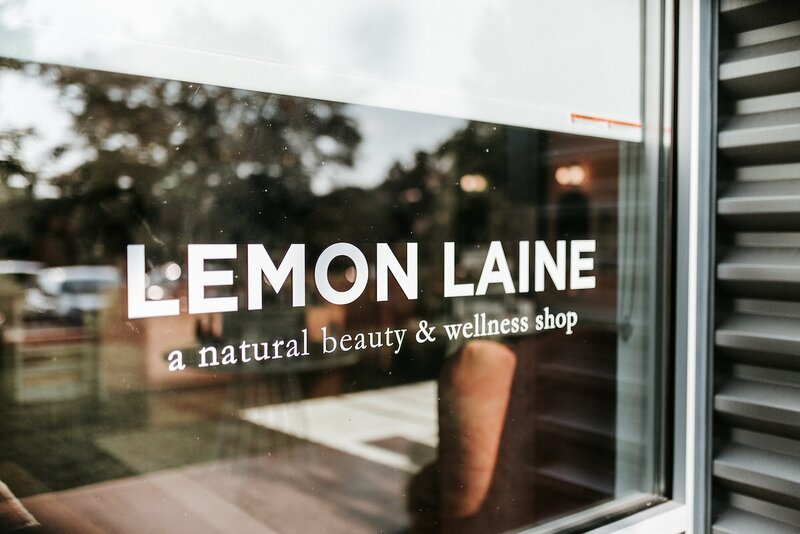 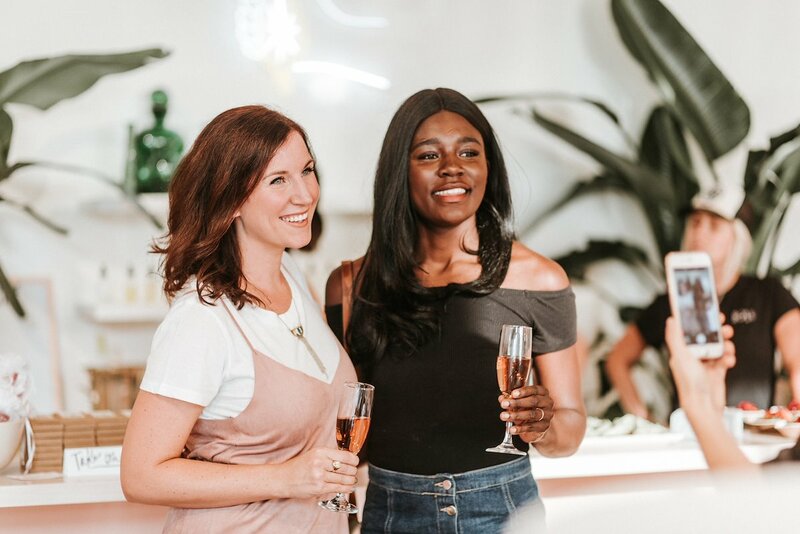 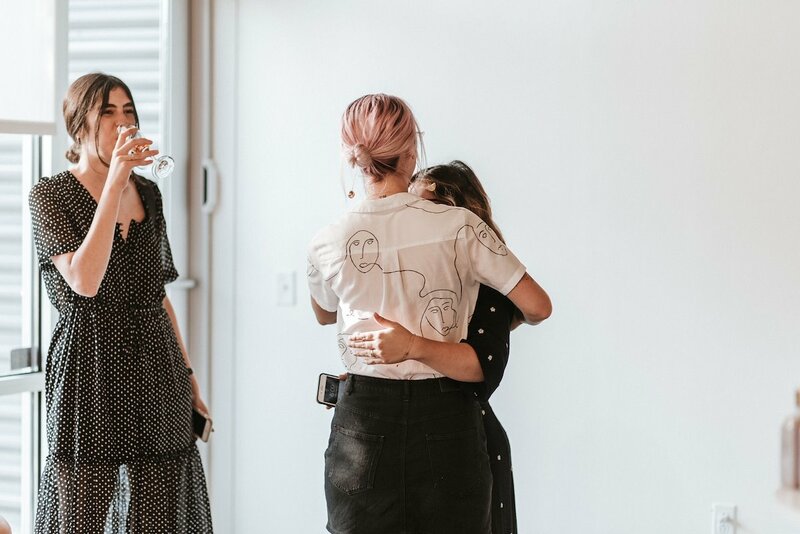 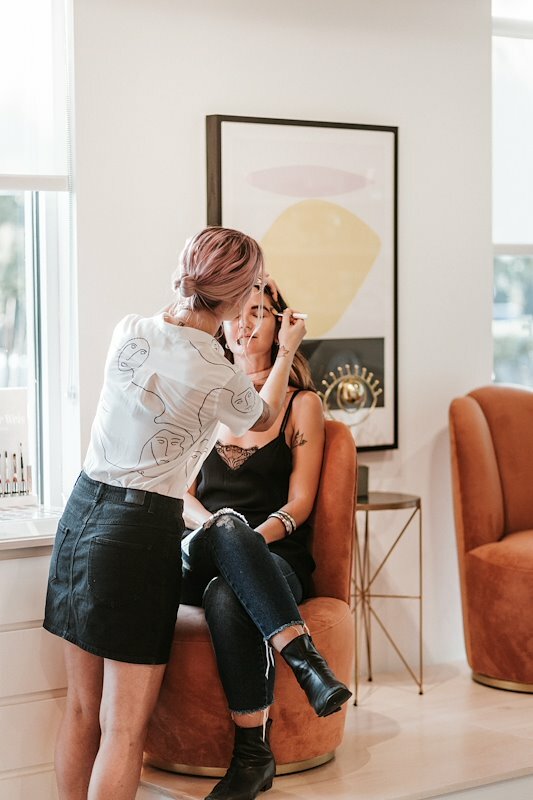 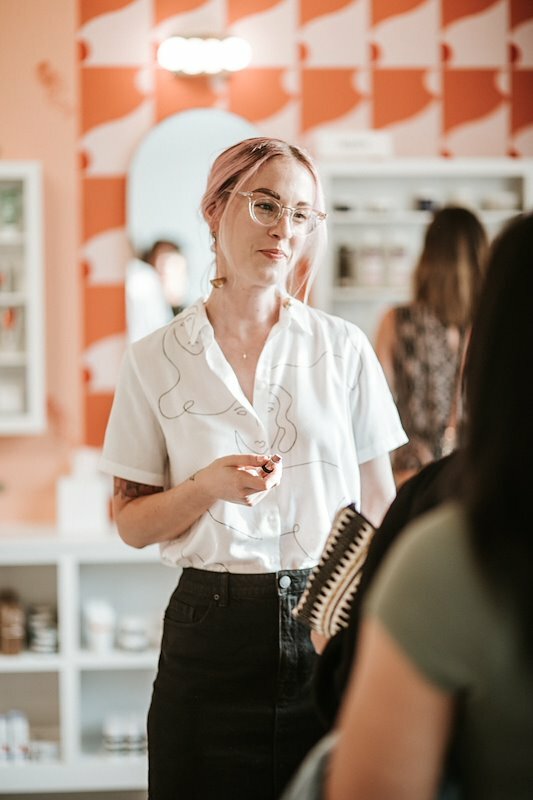 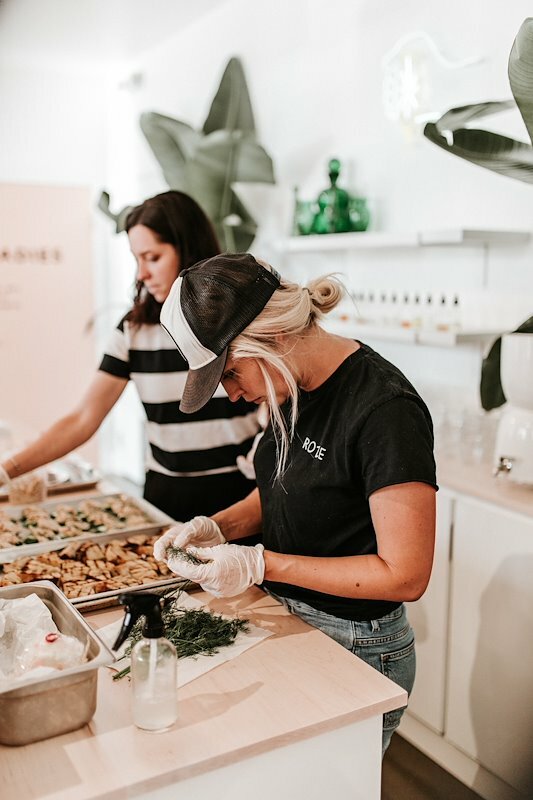 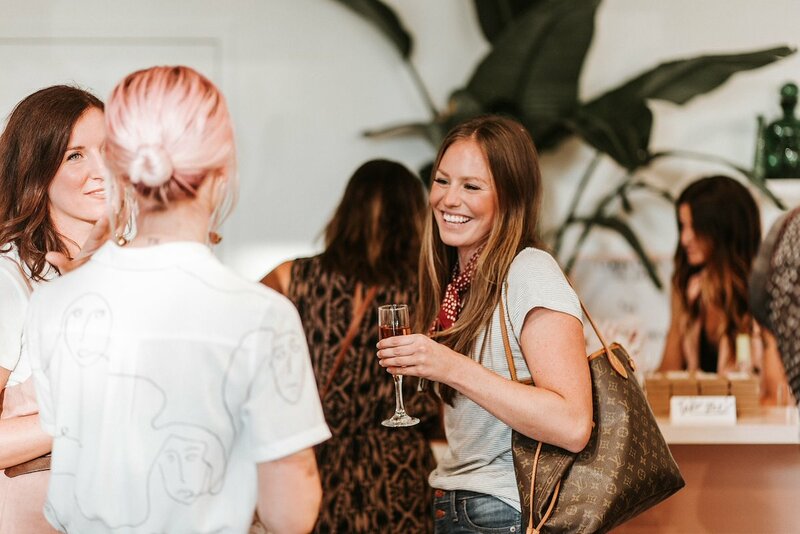 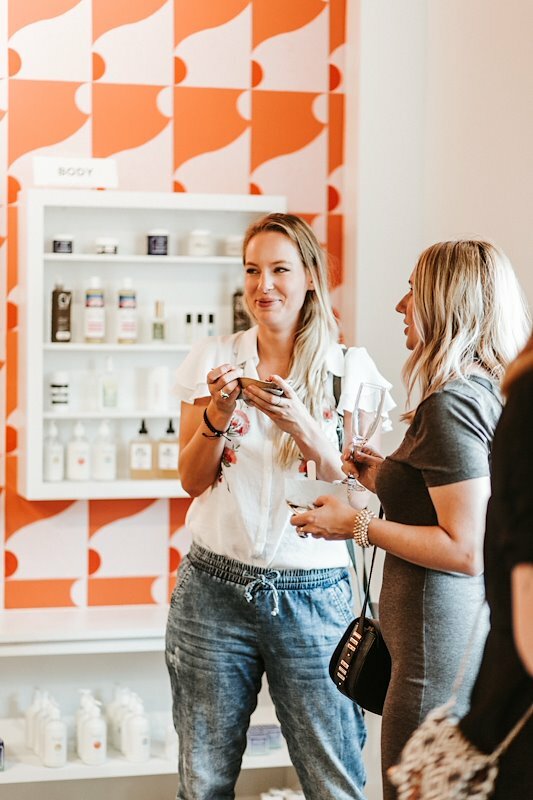 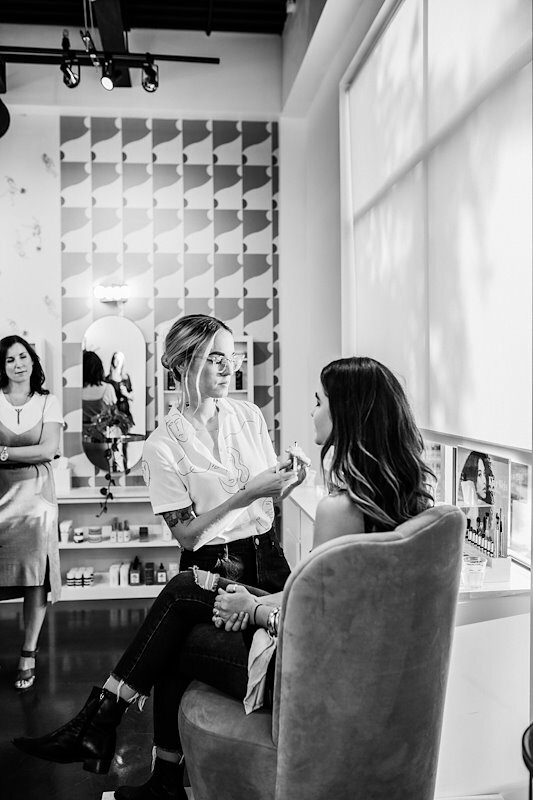 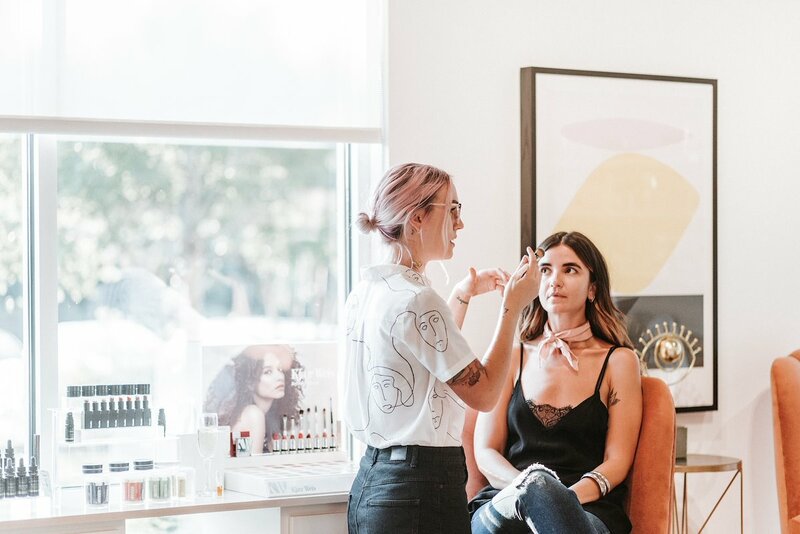 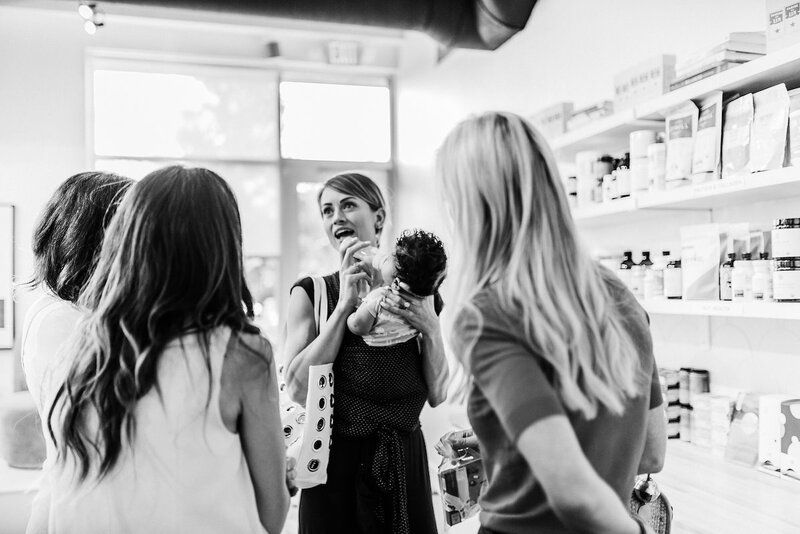 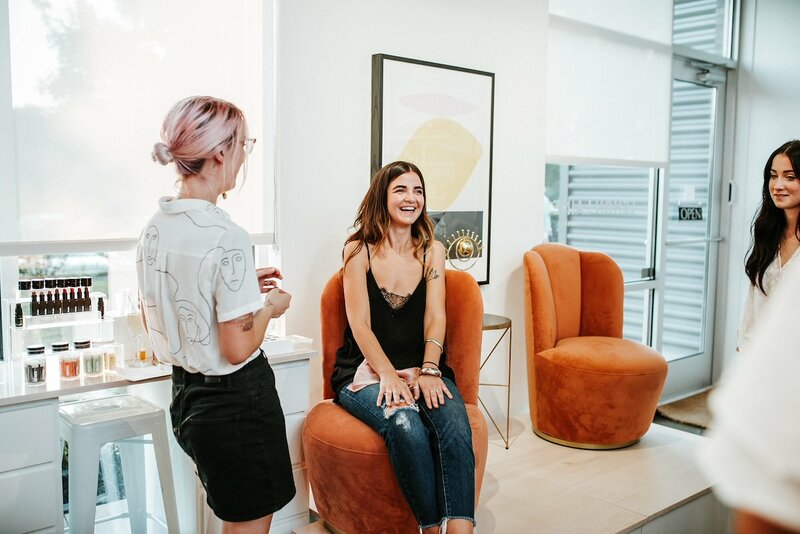 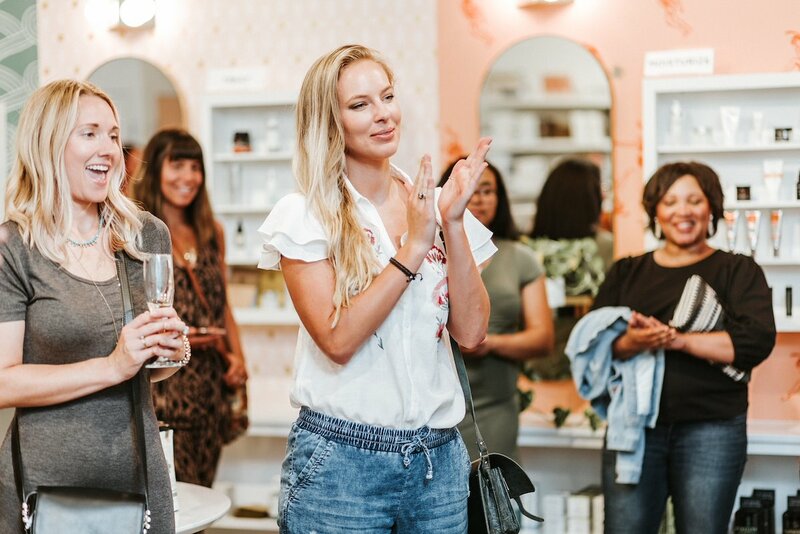 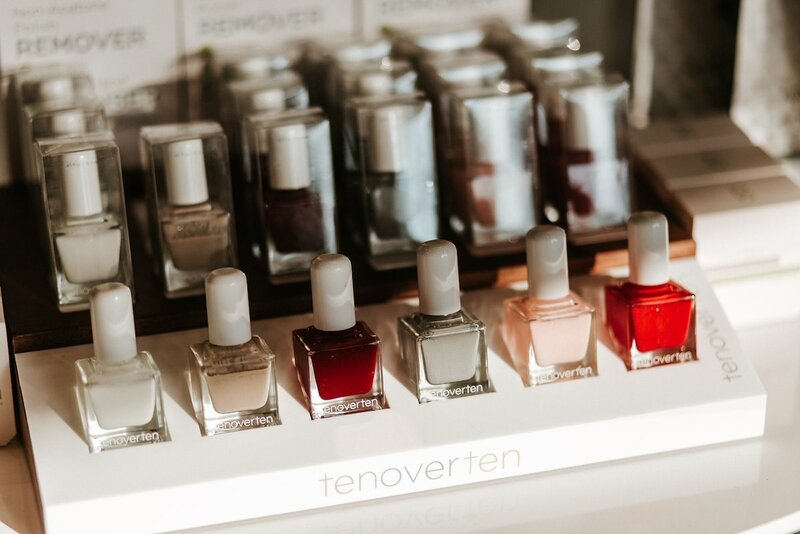 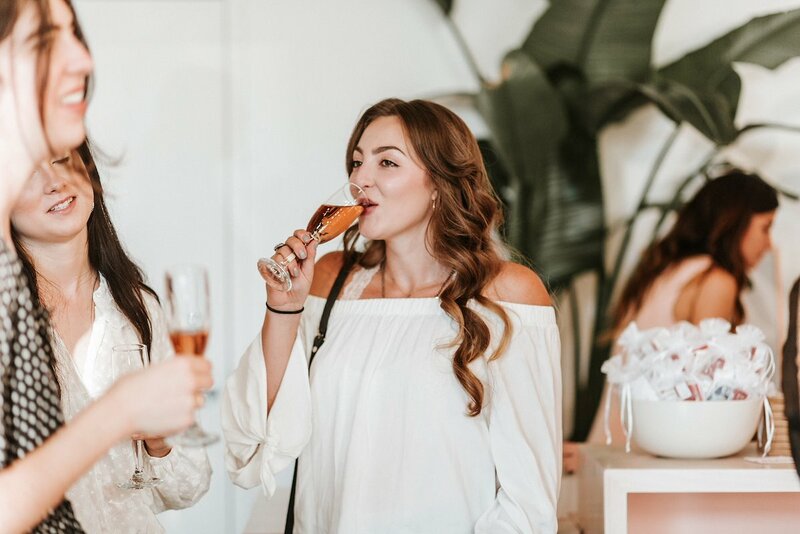 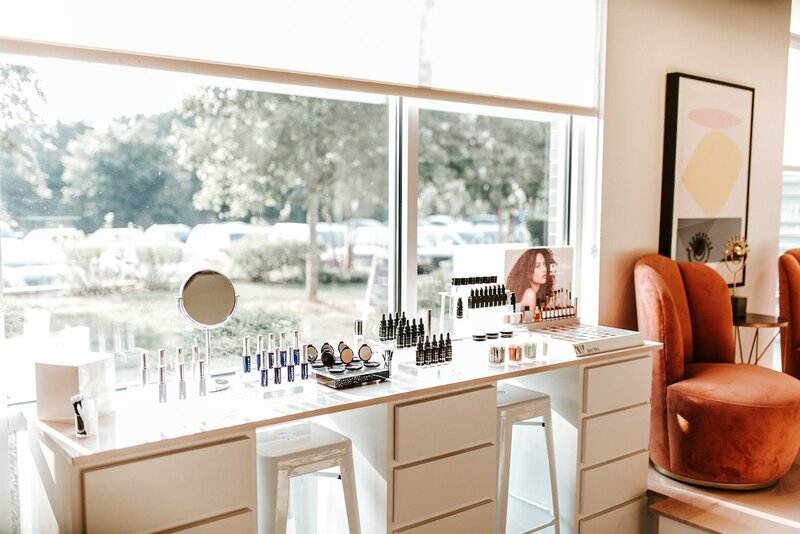 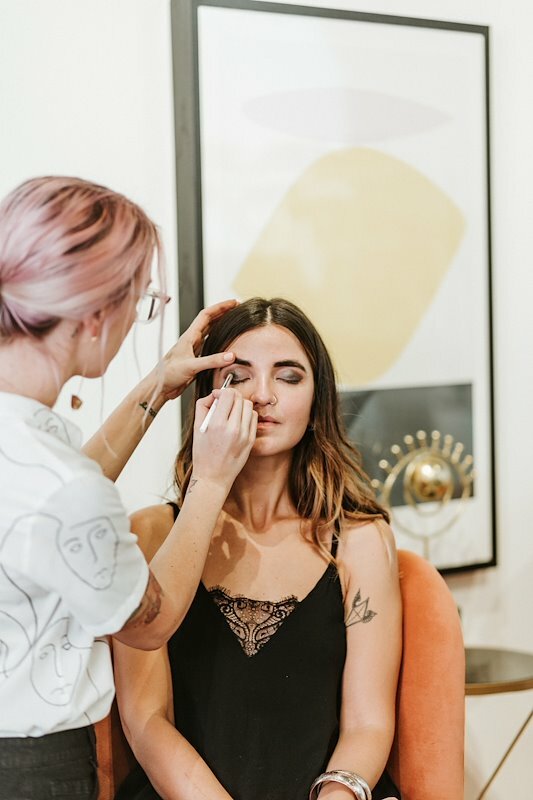 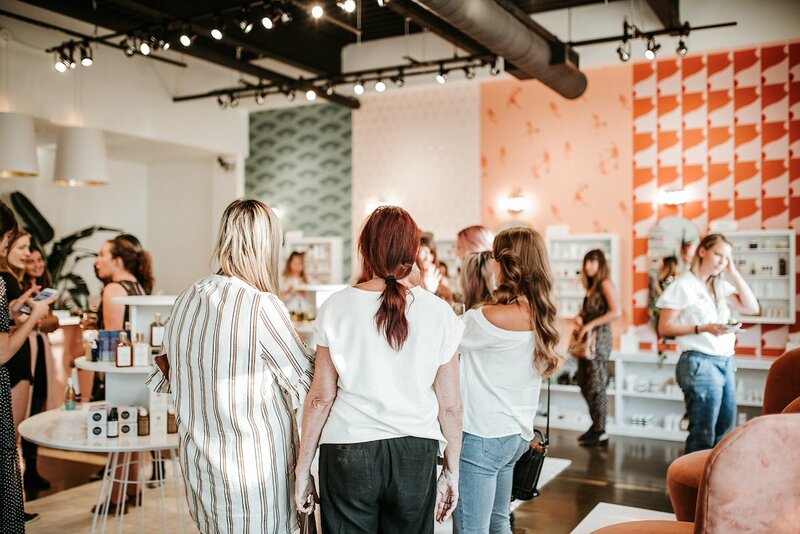 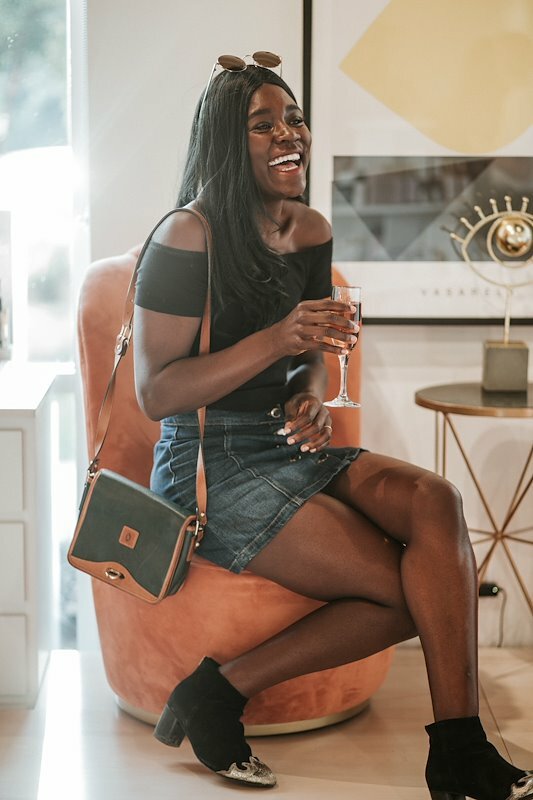 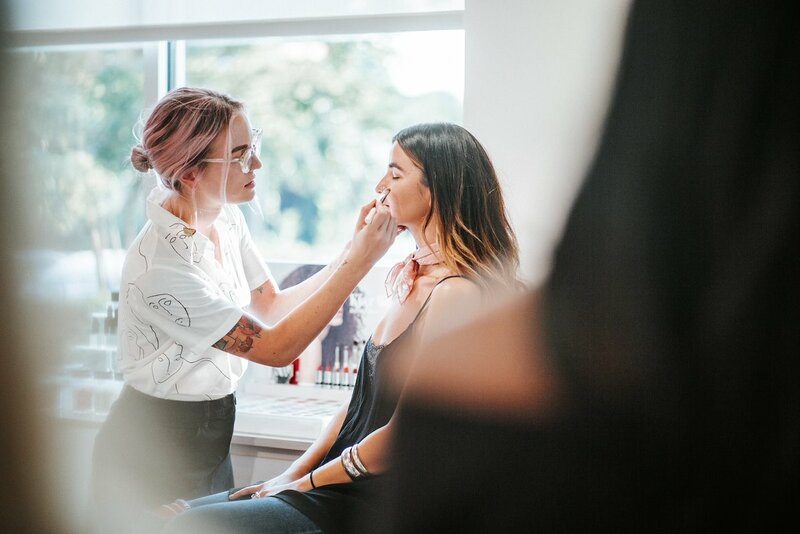 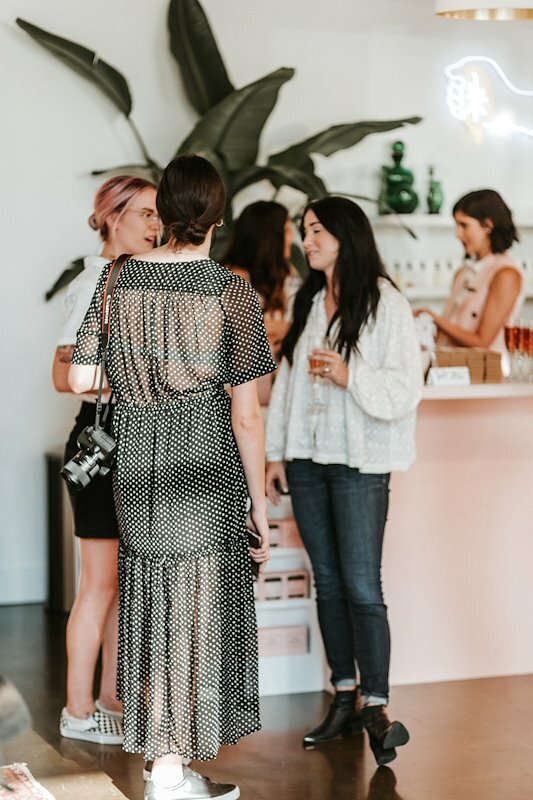 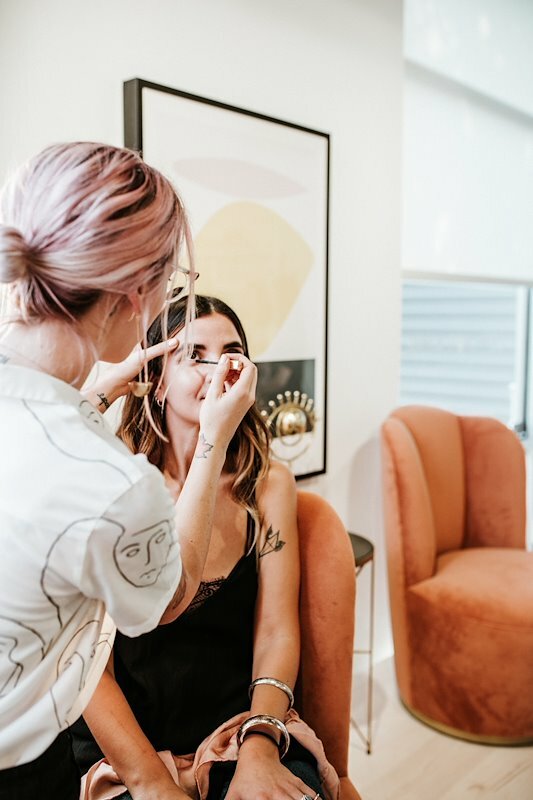 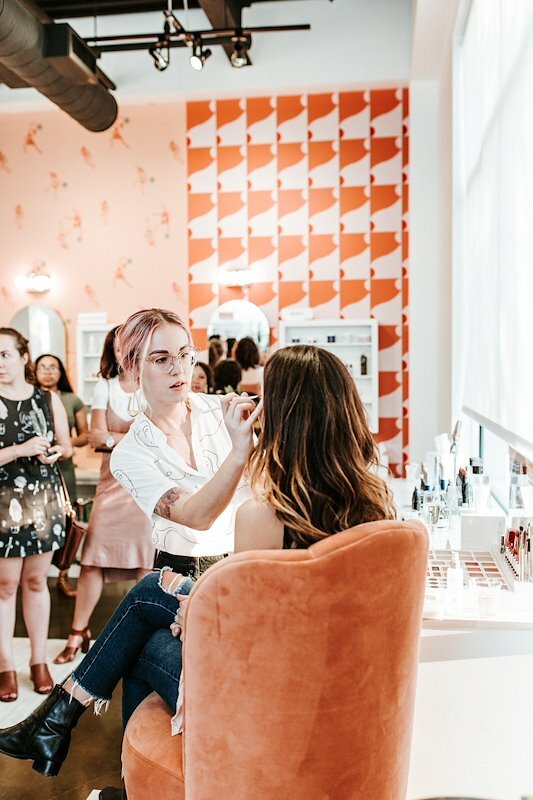 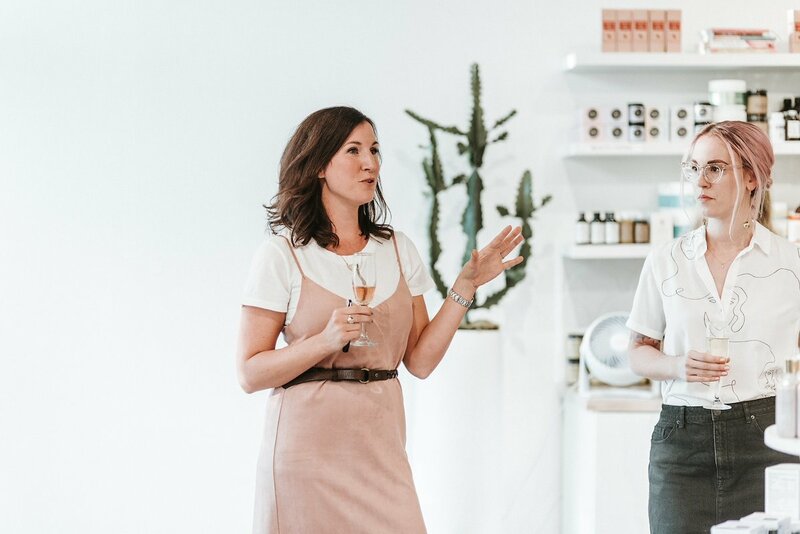 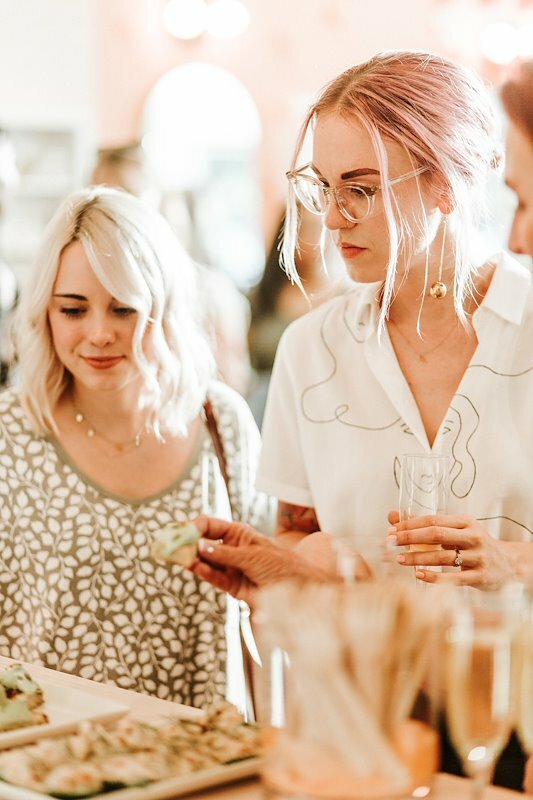 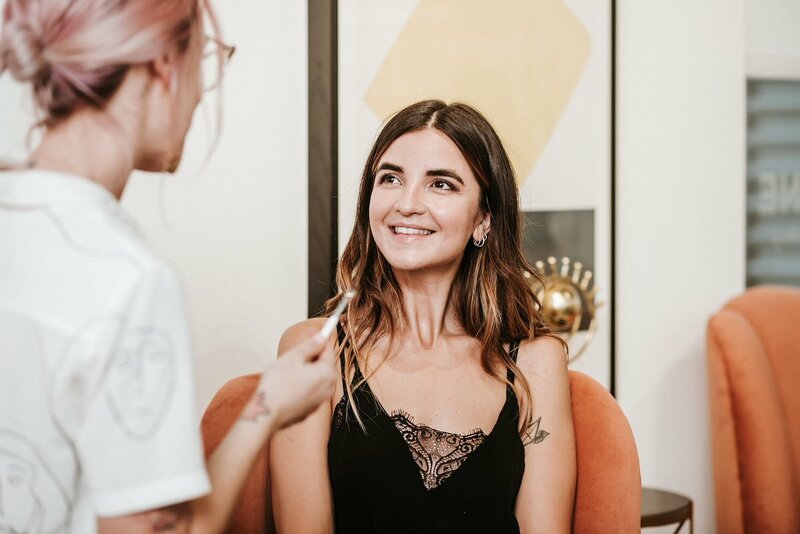 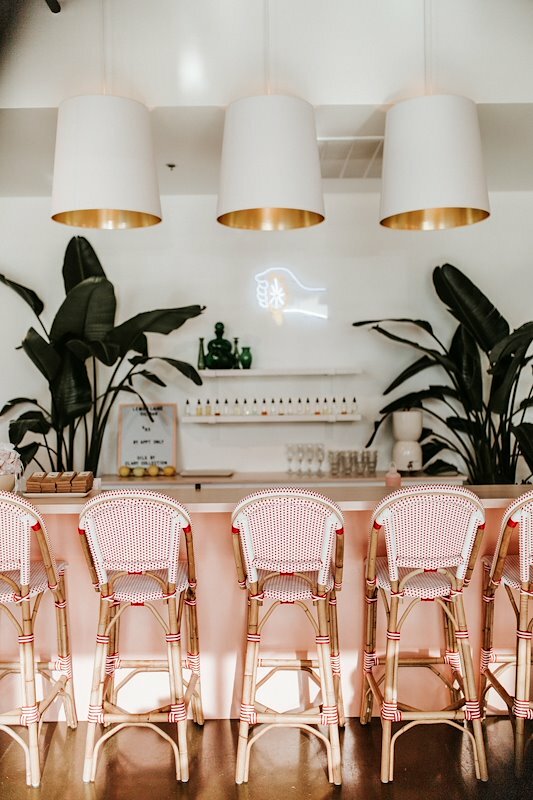 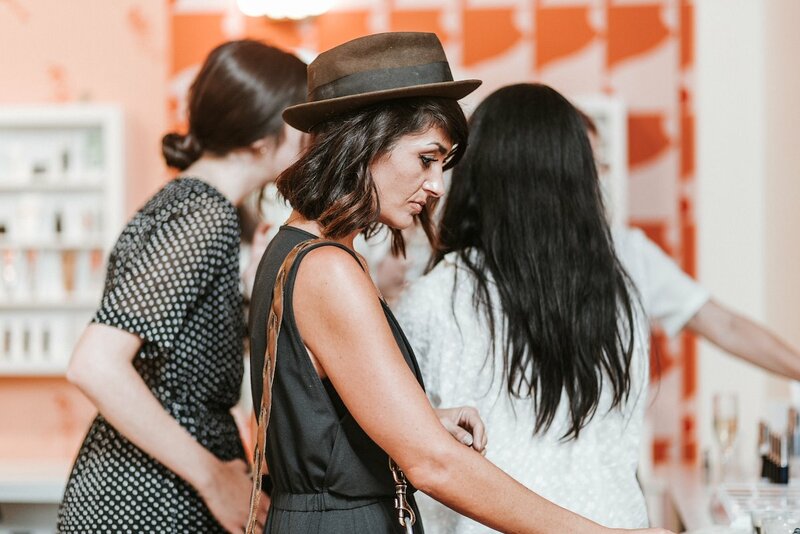 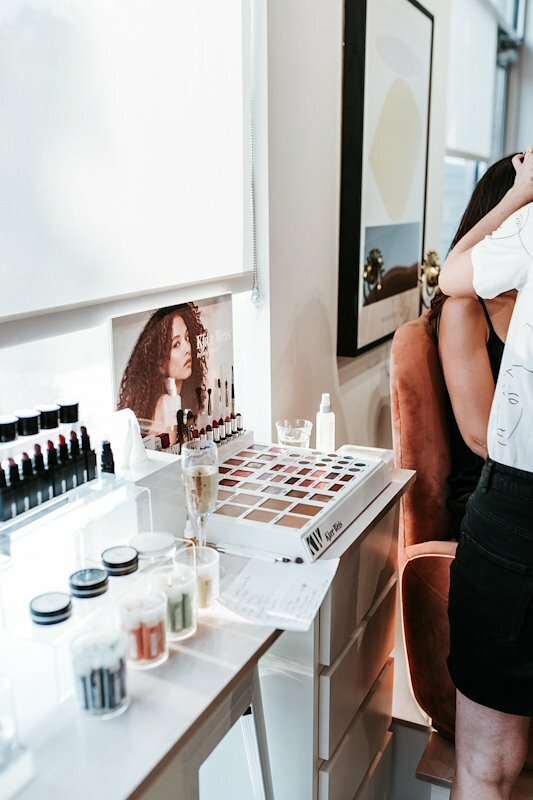 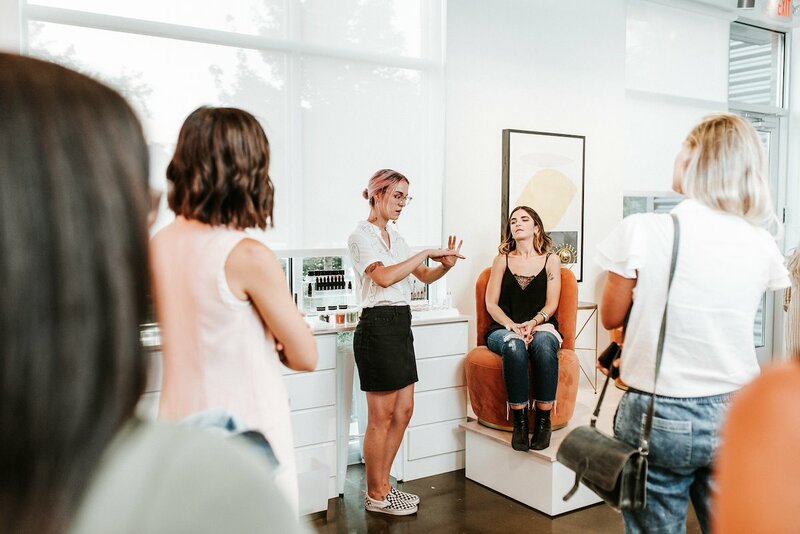 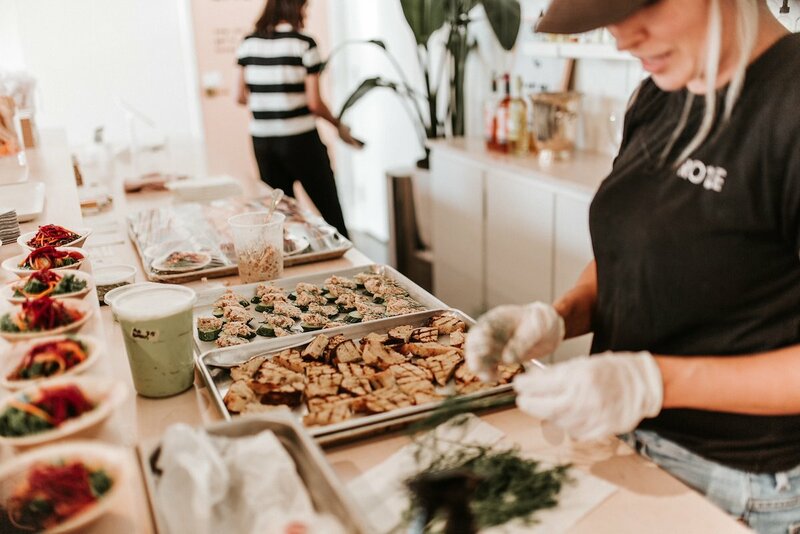 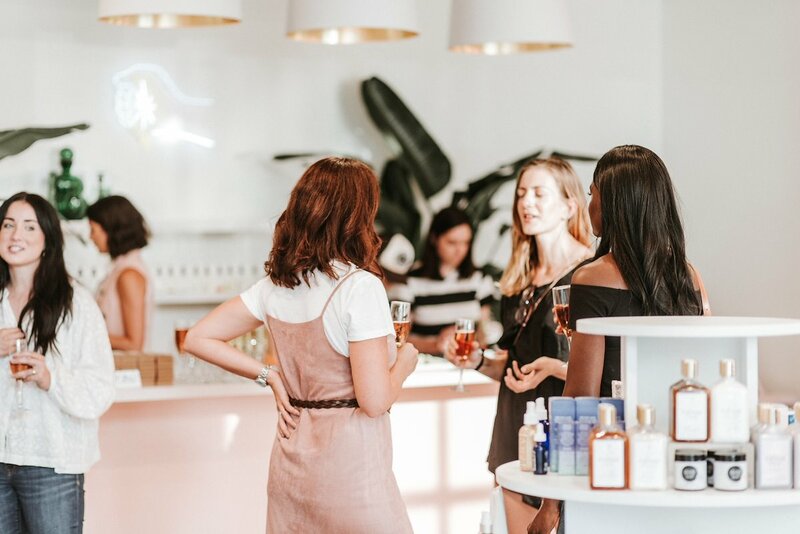 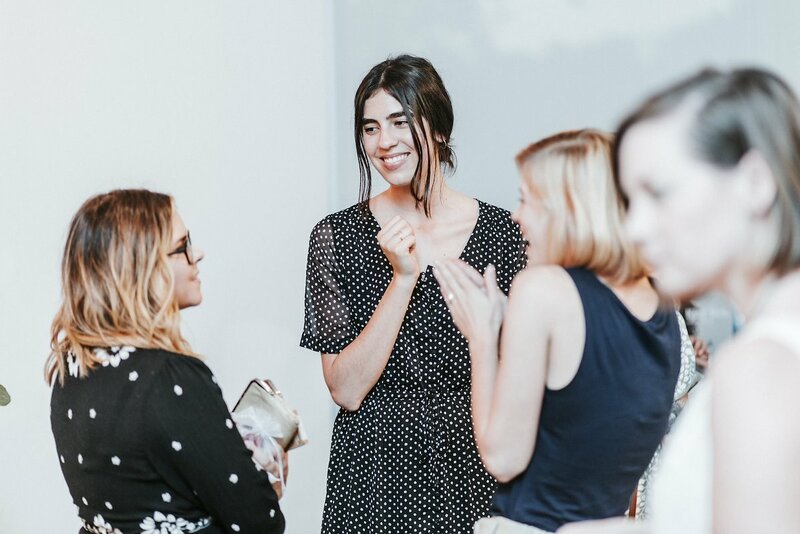 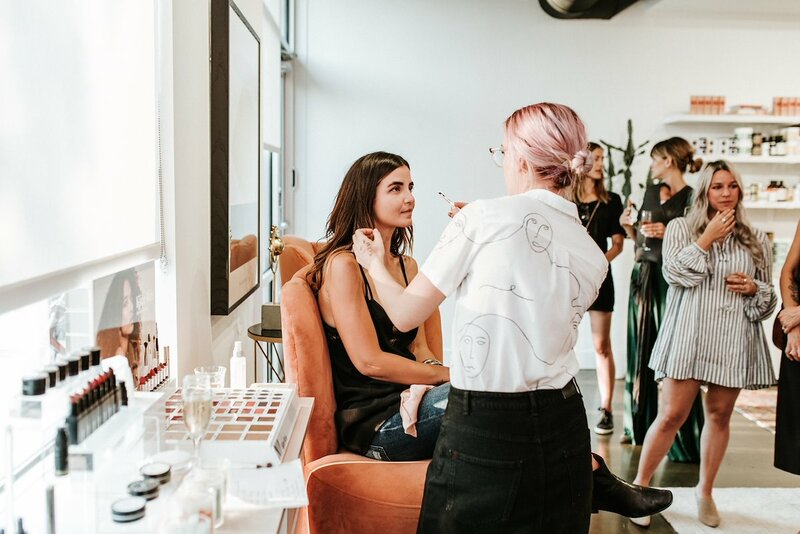 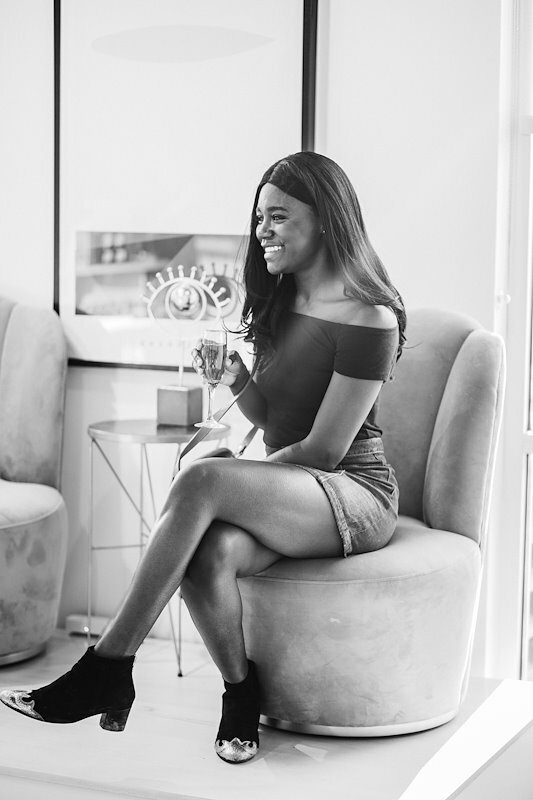 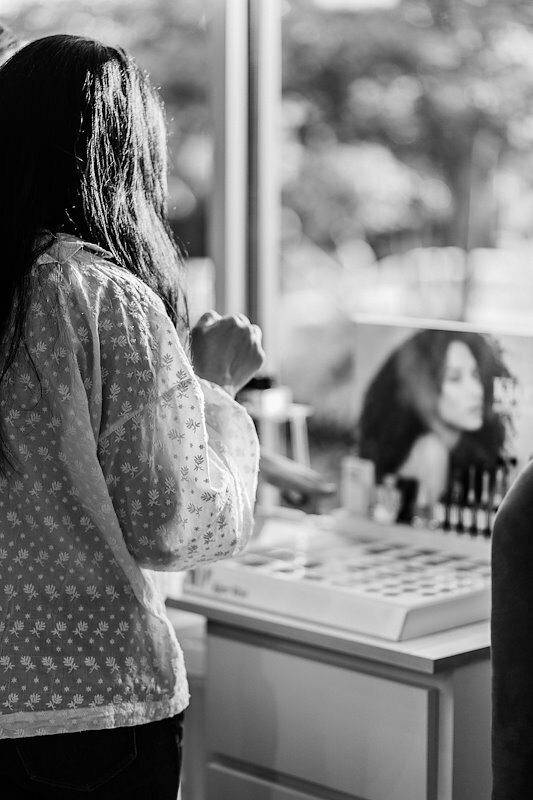 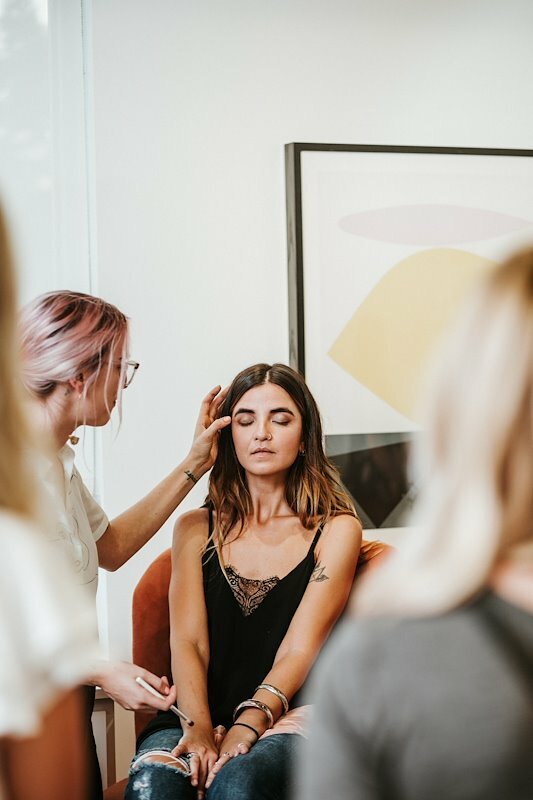 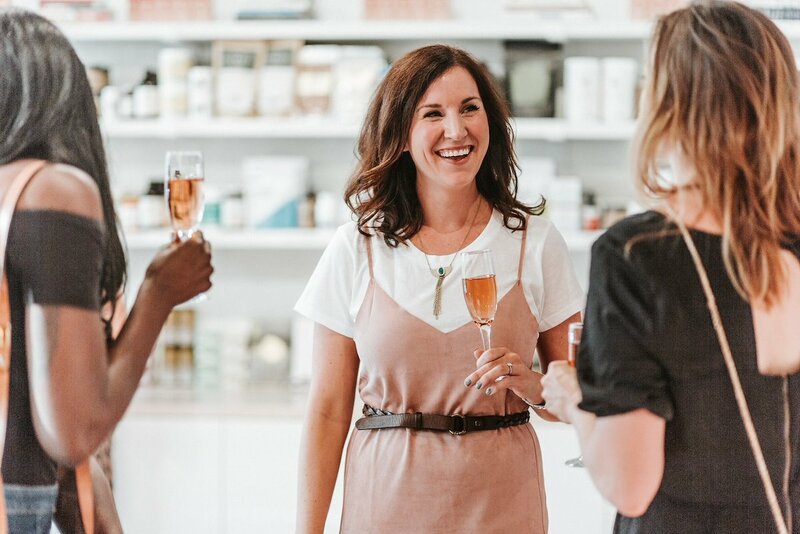 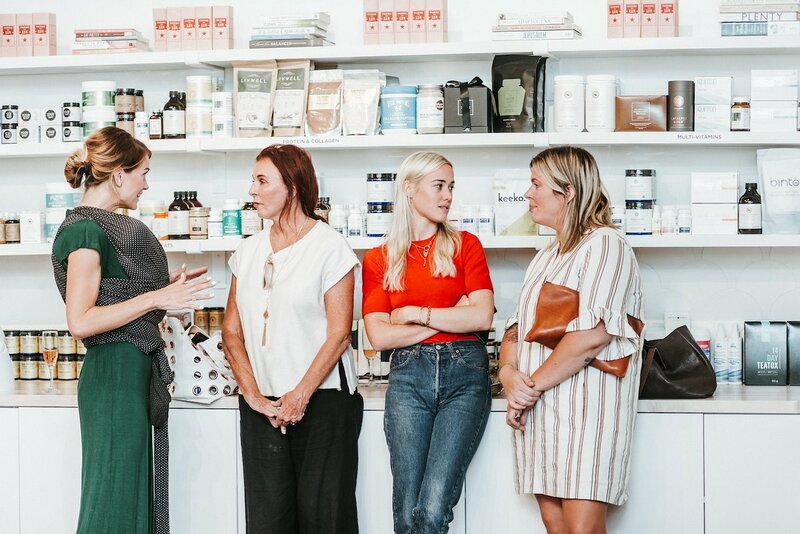 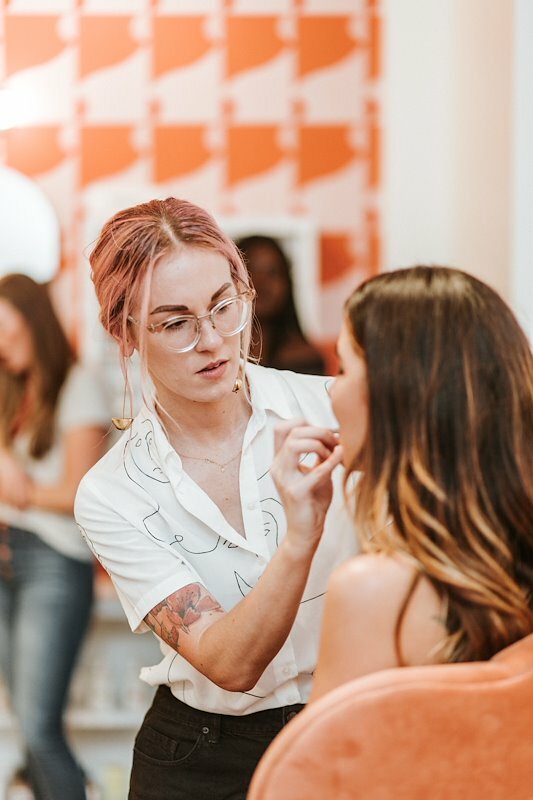 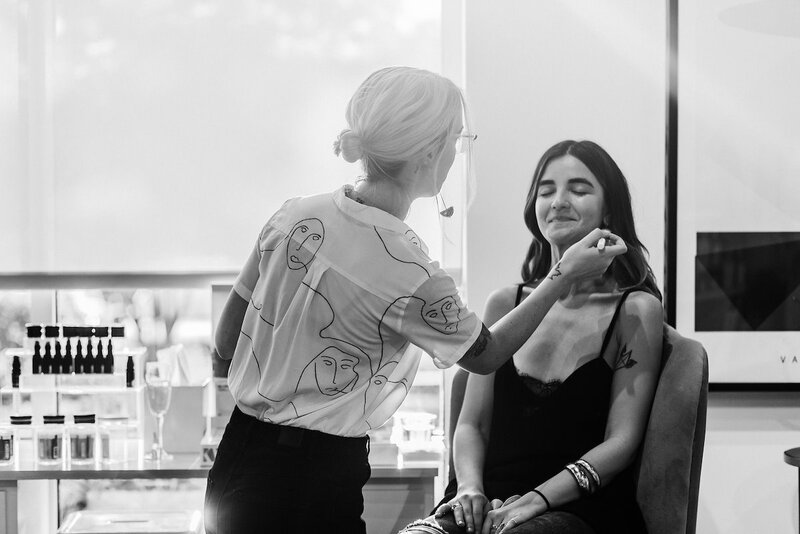 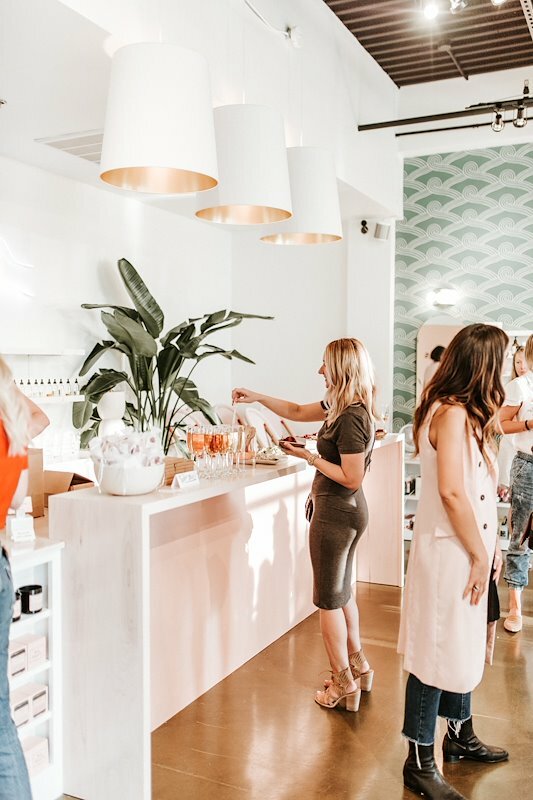 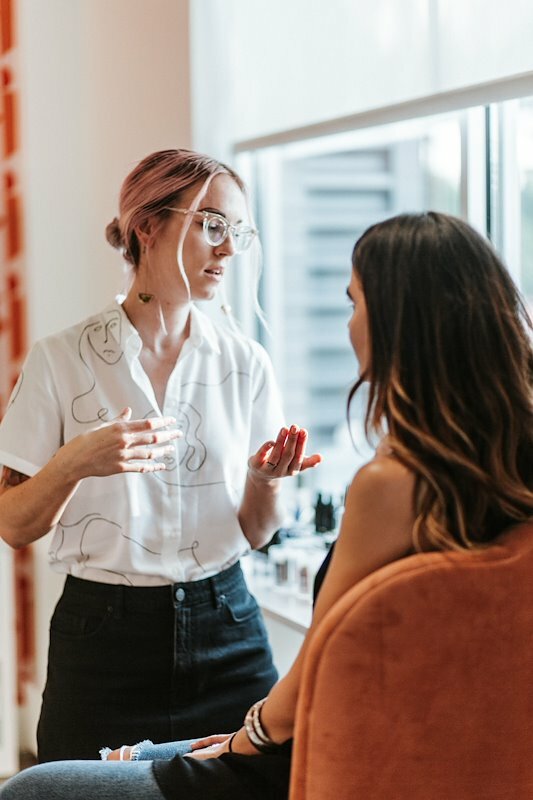 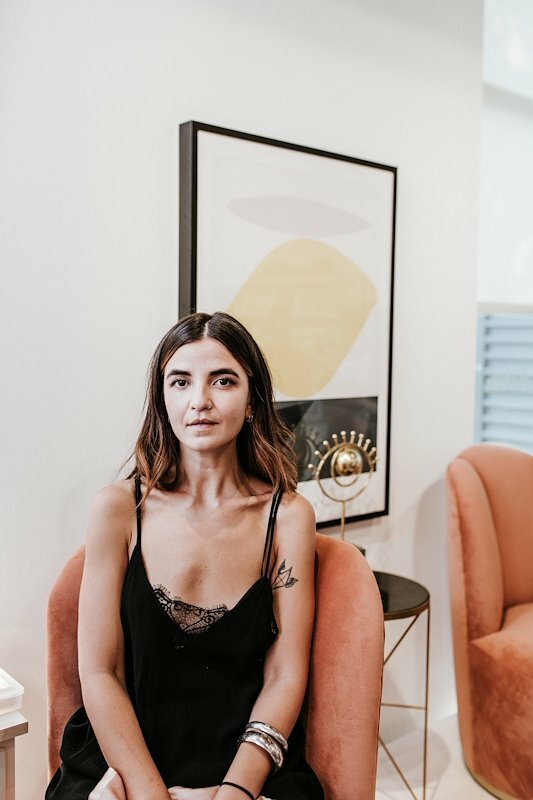 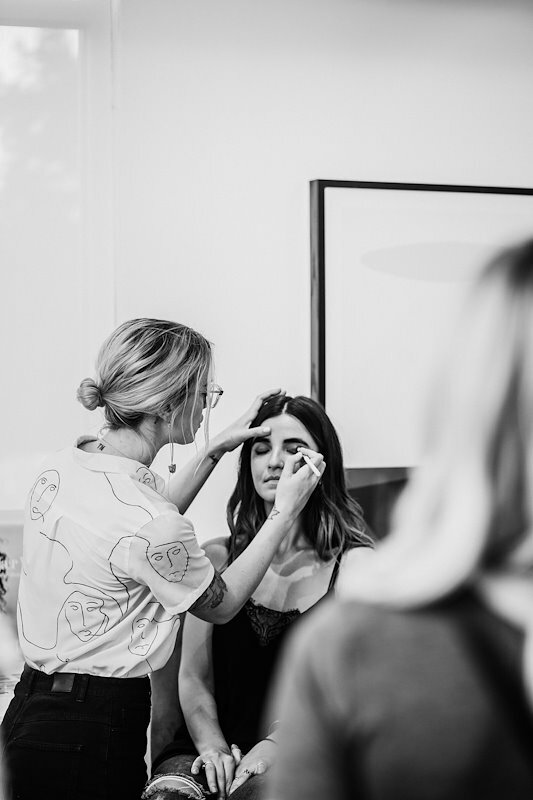 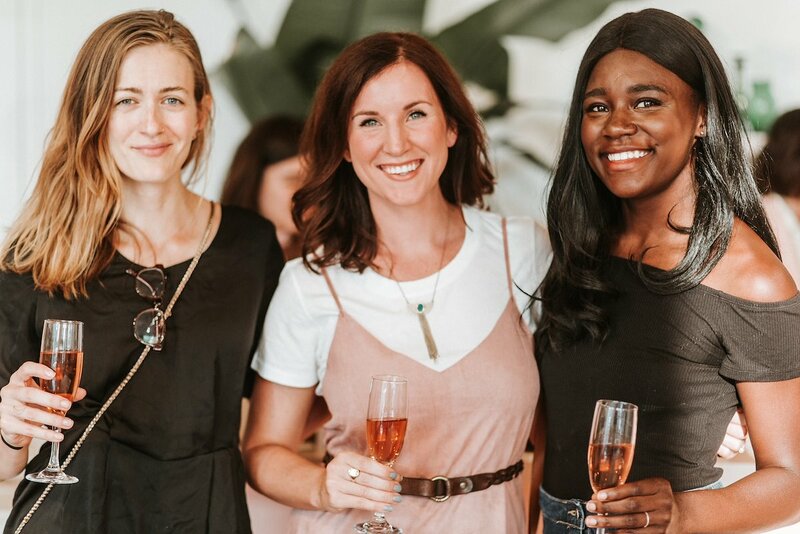 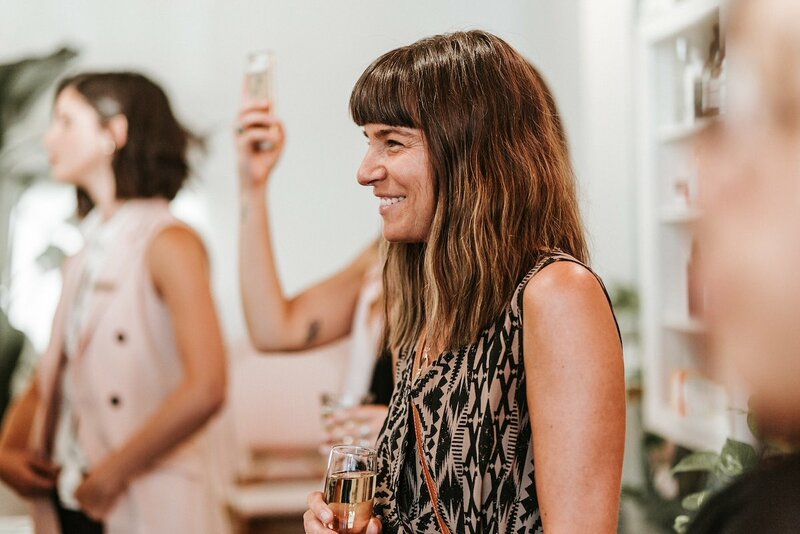 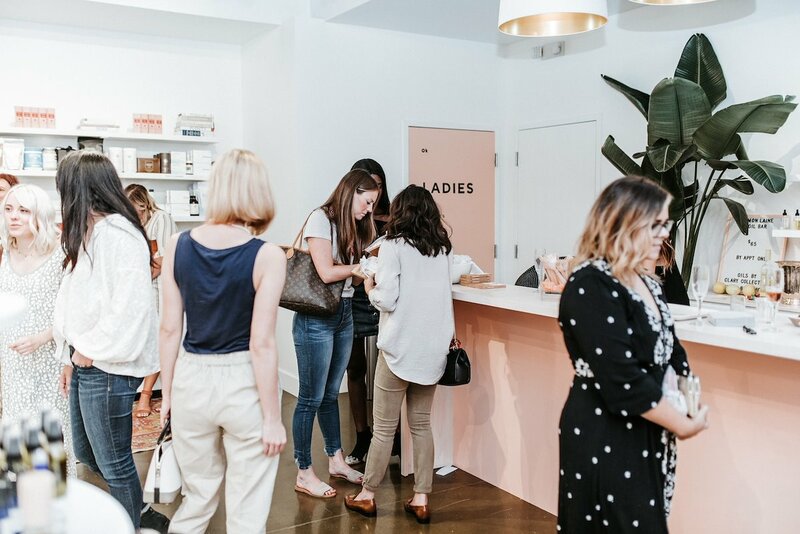 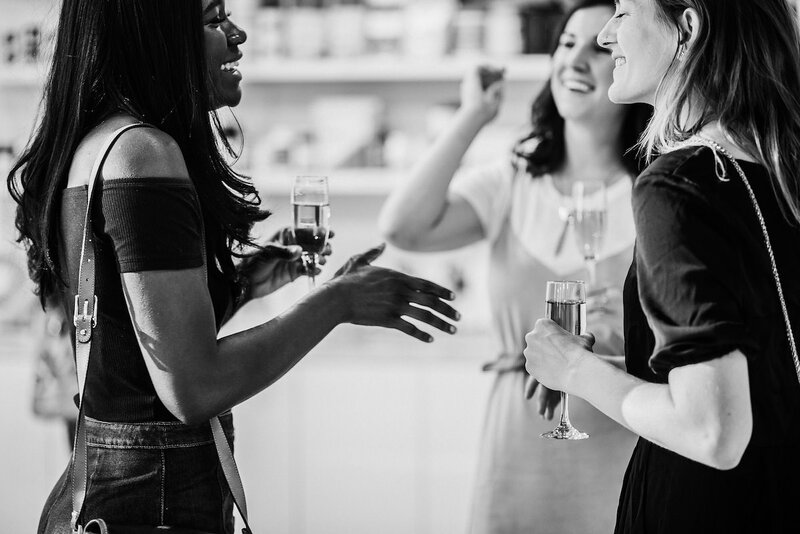 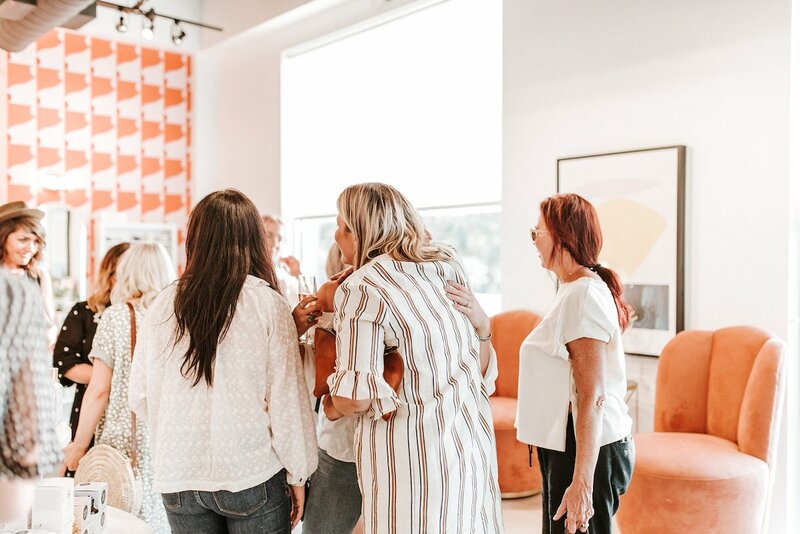 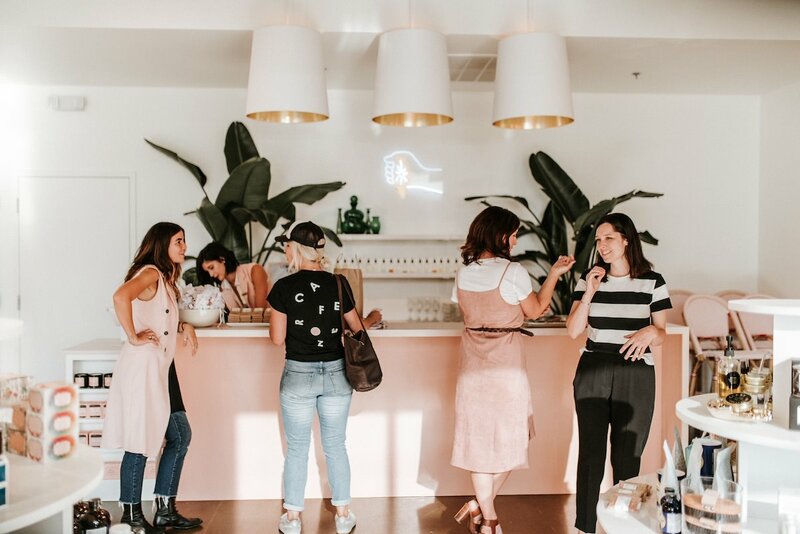 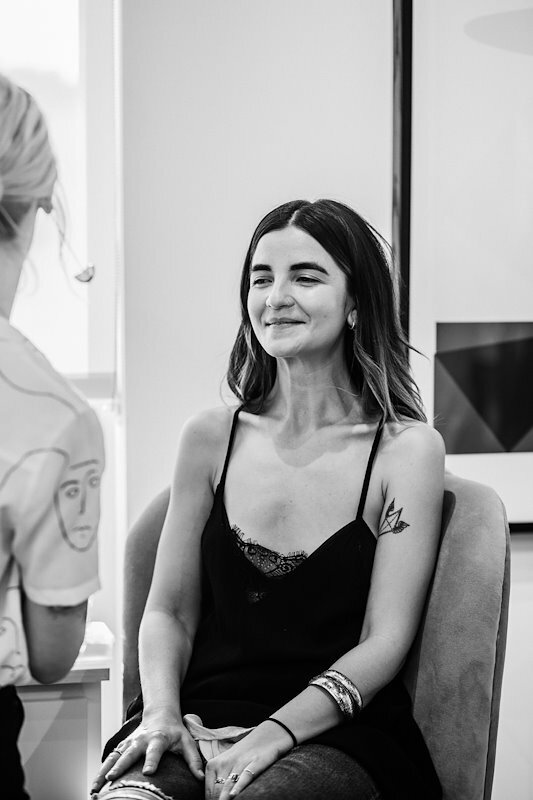 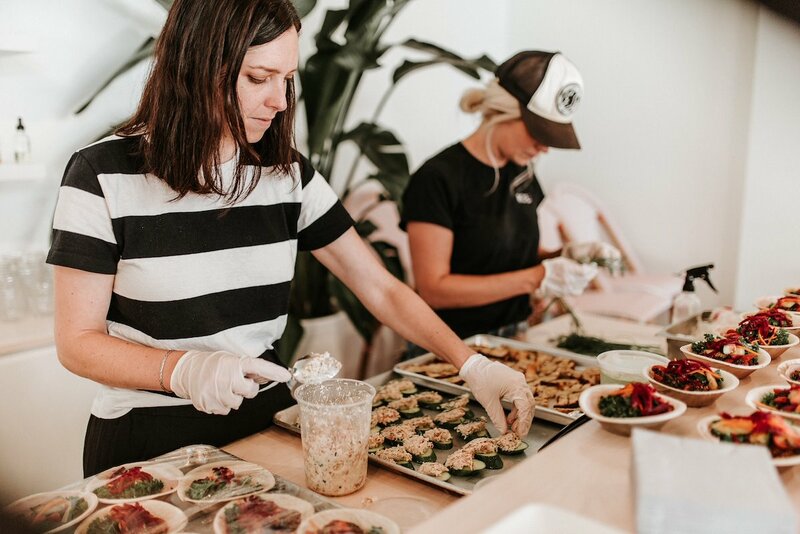 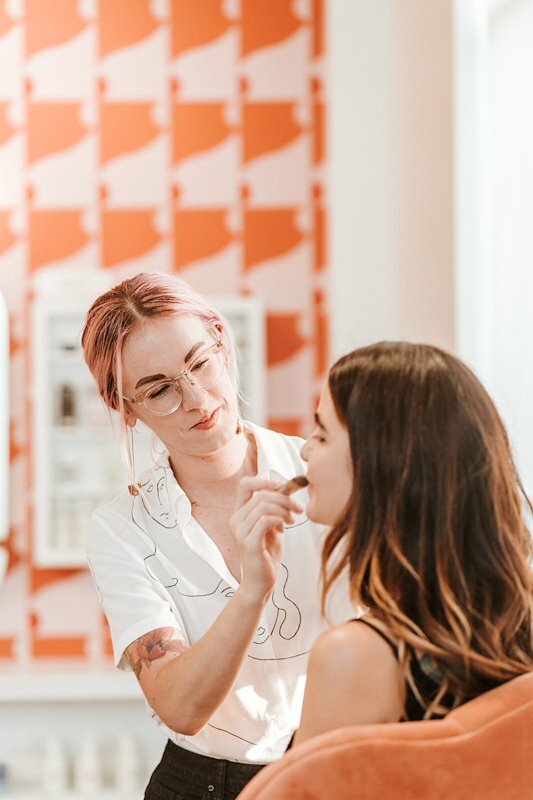 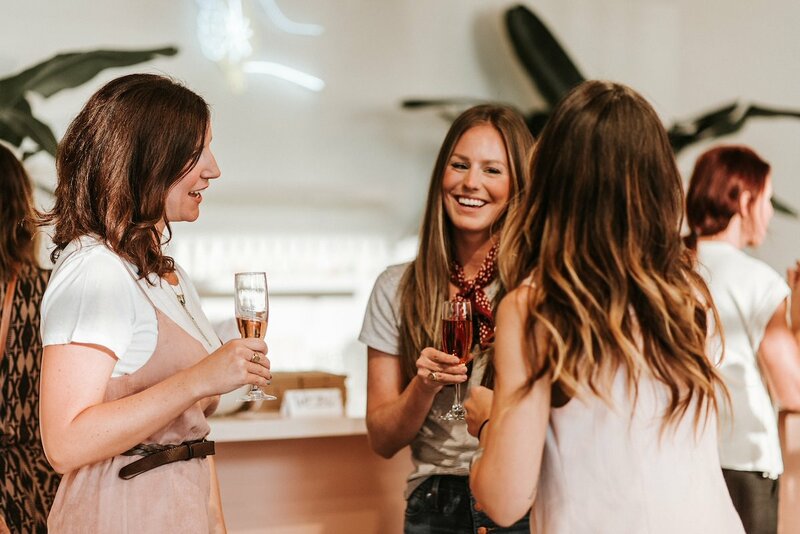 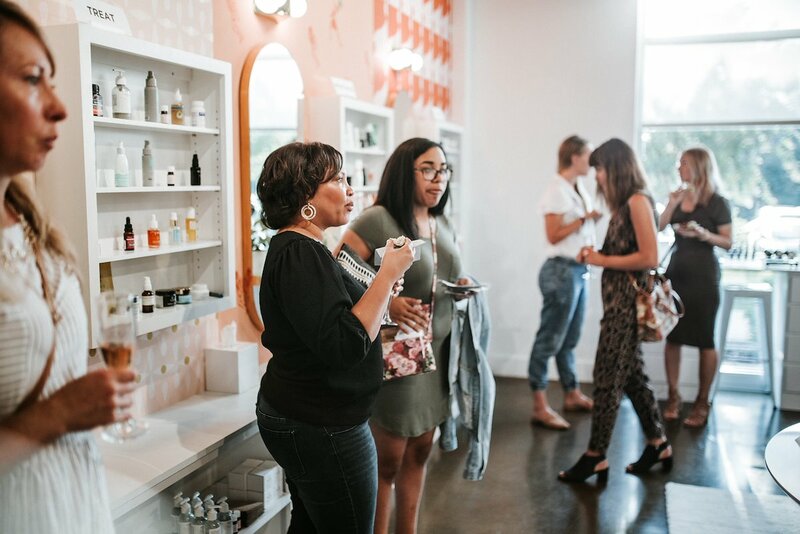 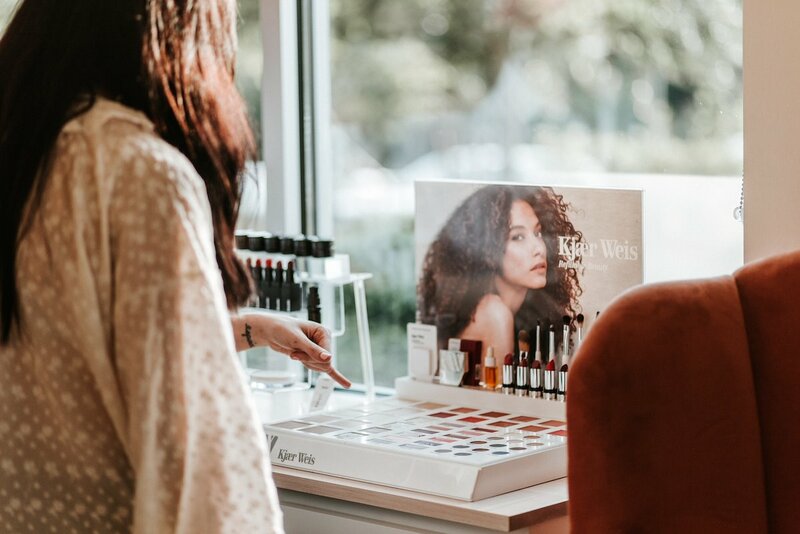 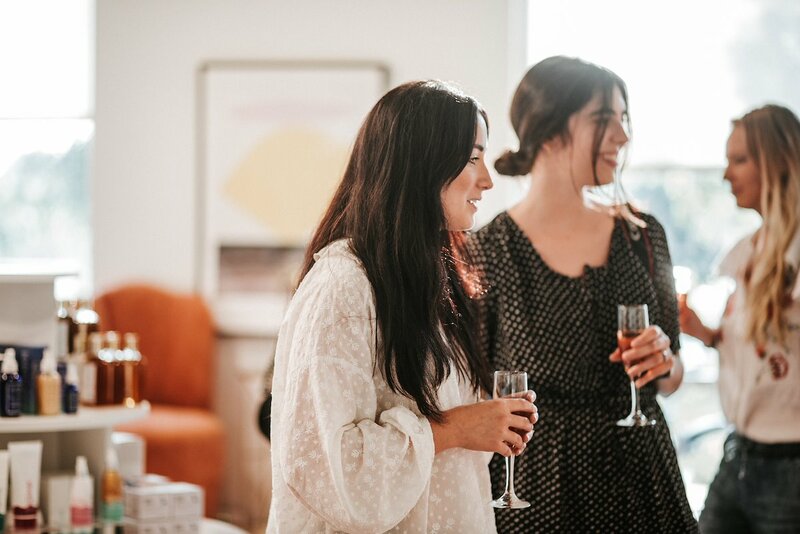 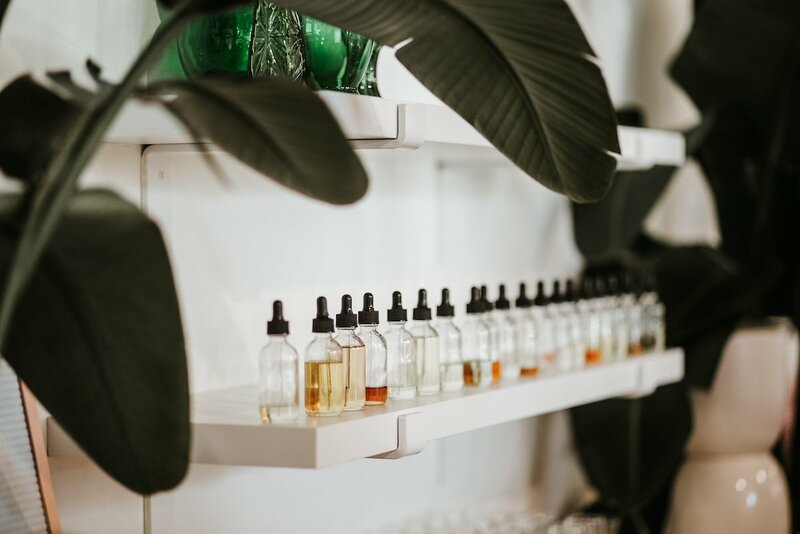 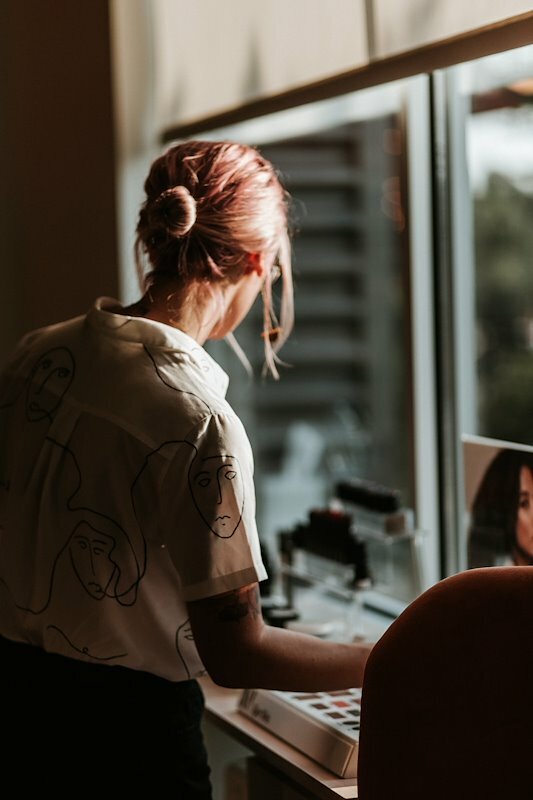 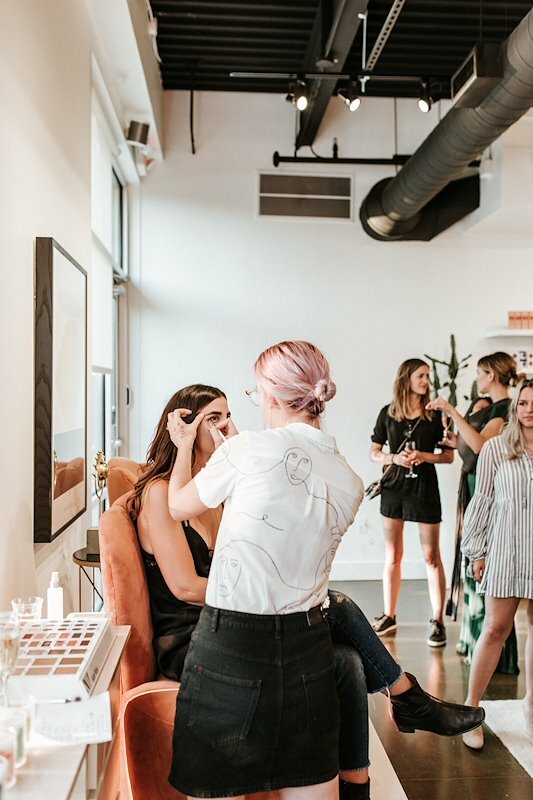 Not only did I spend time with family and see friends…but on that Friday, I had the pleasure of co-hosting the launch of Kjaer Weis‘ line at Nashville’s green beauty shop Lemon Laine. 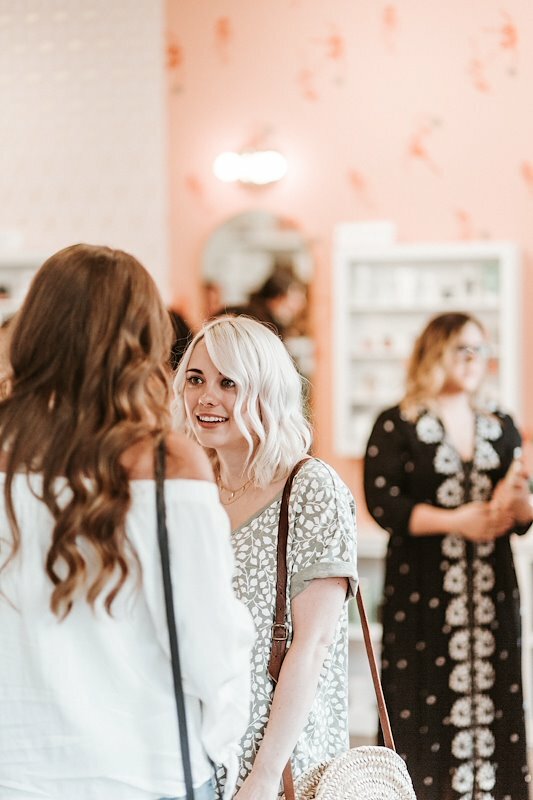 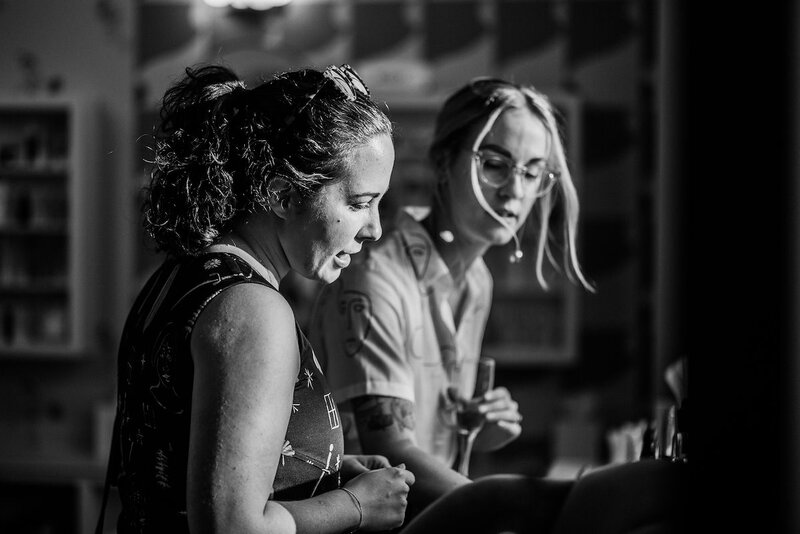 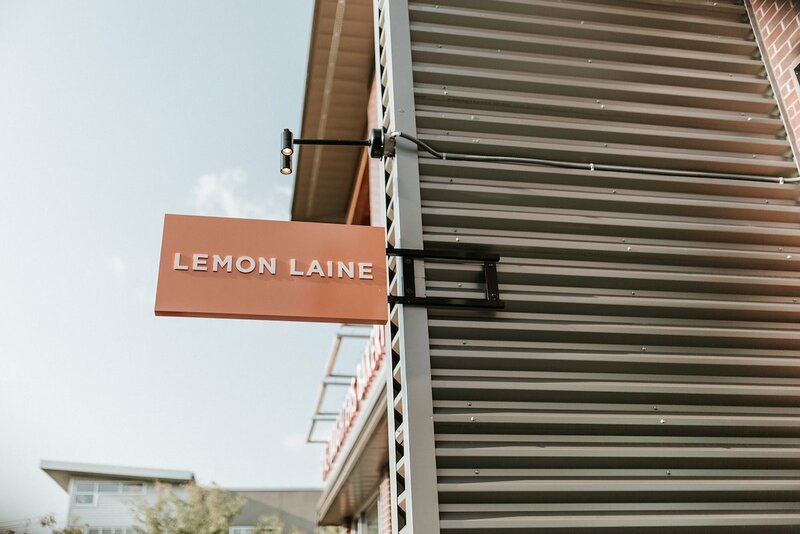 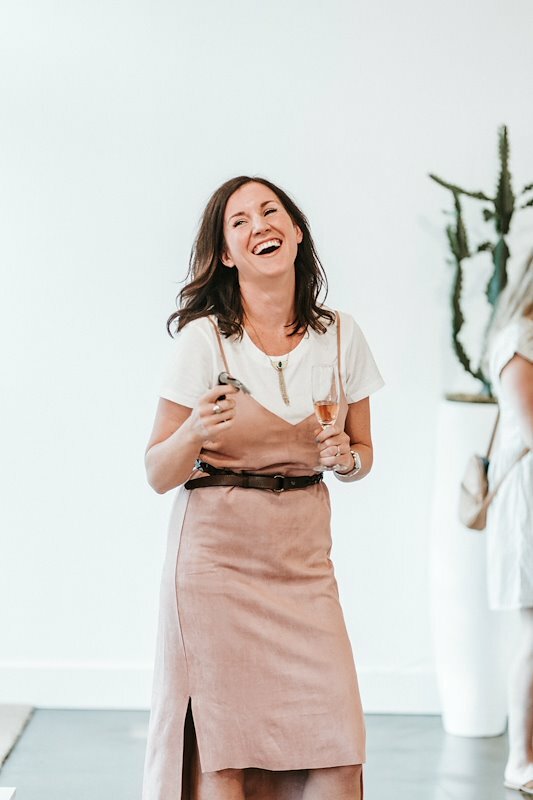 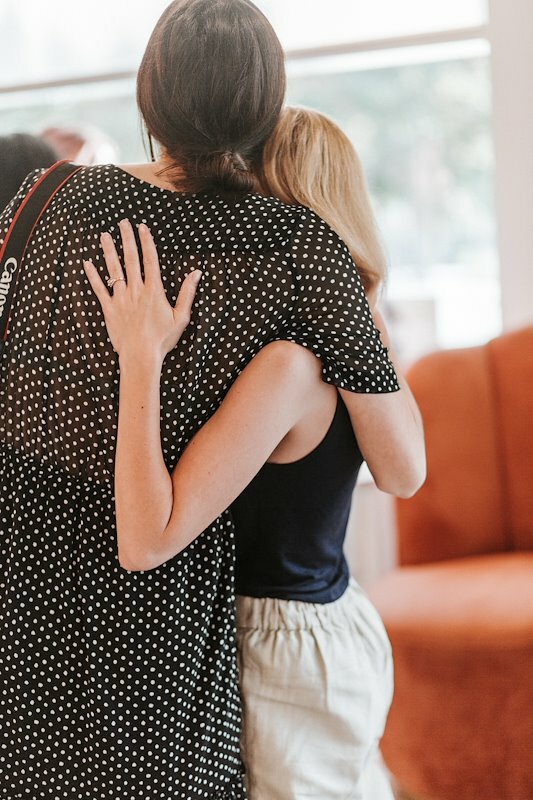 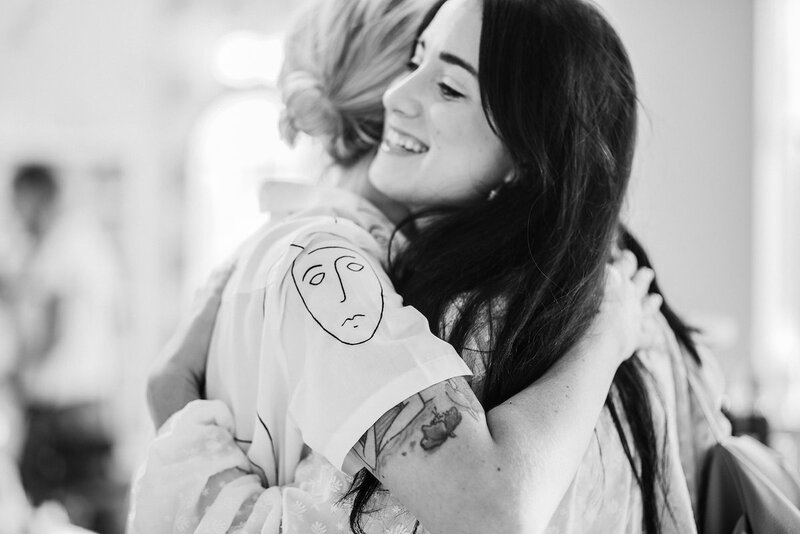 Laura Lemon, the lovely owner of Lemon Laine and I dreamed up this event for the past few months and it was incredible seeing it all come together! 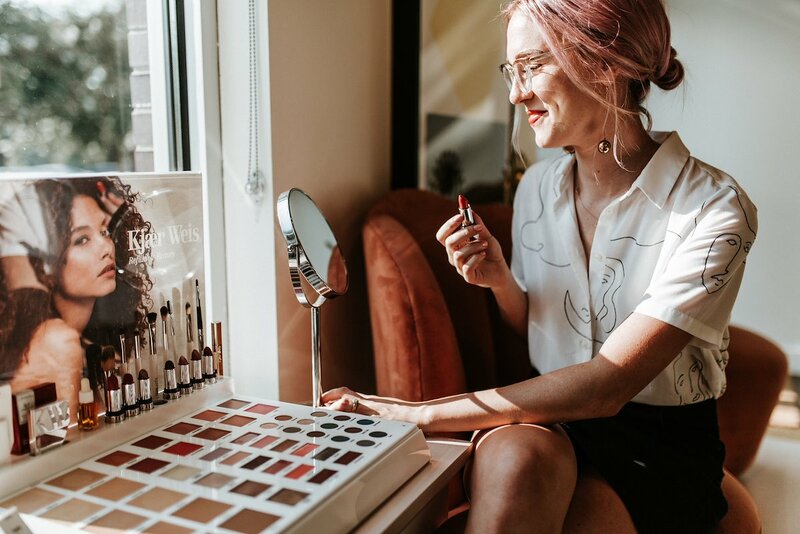 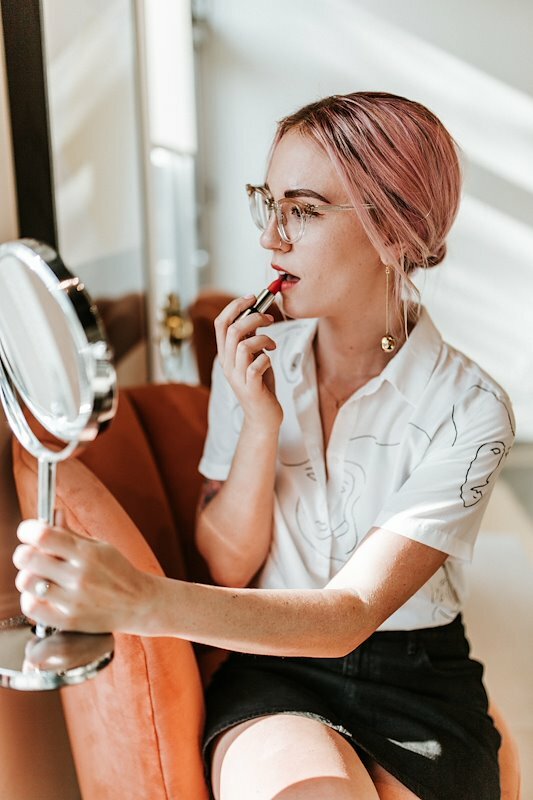 Thanks to Kjaer Weis and their gorgeous organic, clean makeup line, I was able to do two beautiful makeup looks on a model (the beautiful Jessica) – transitioning a day makeup look to a night look. 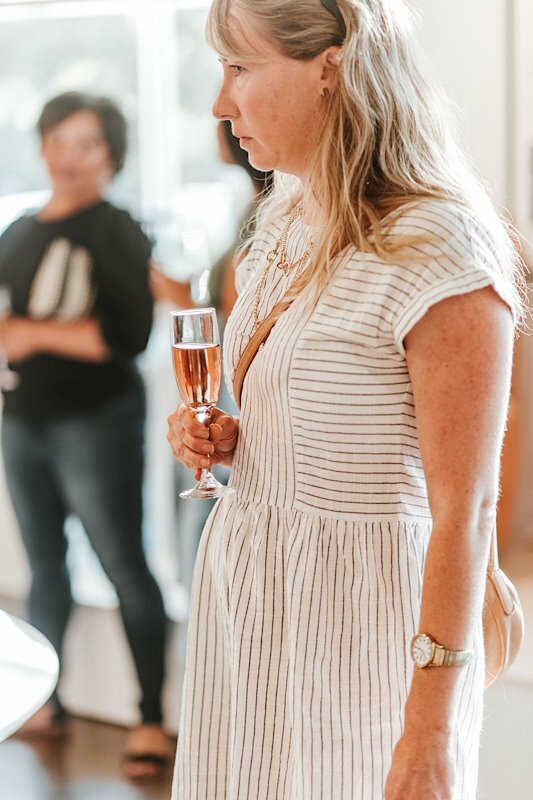 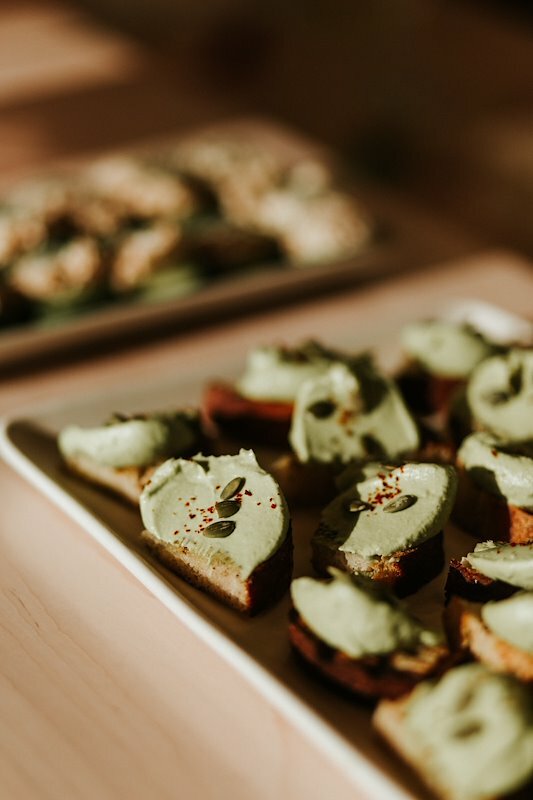 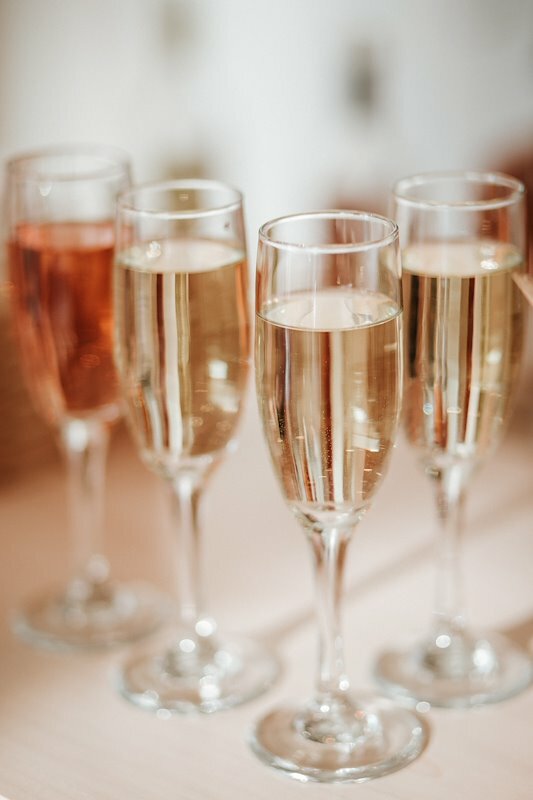 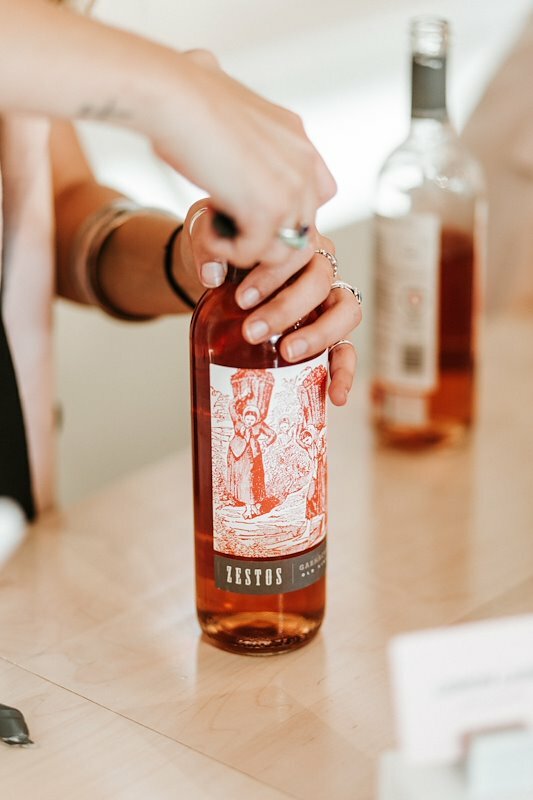 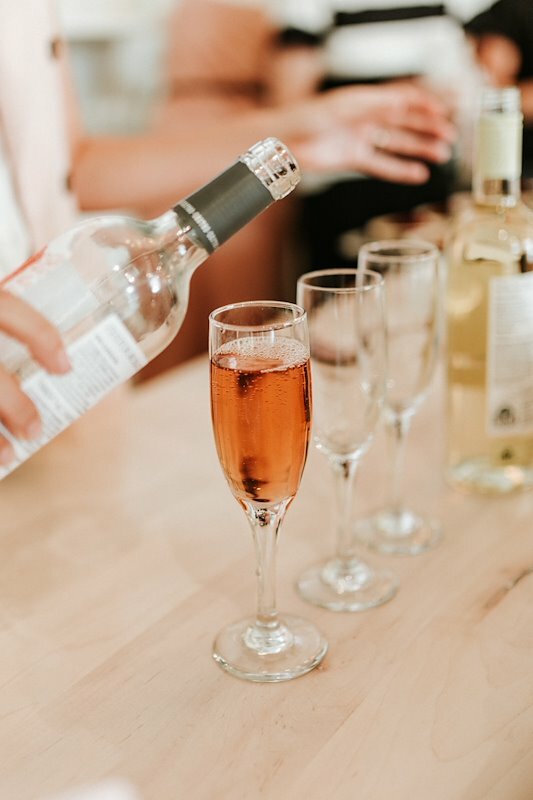 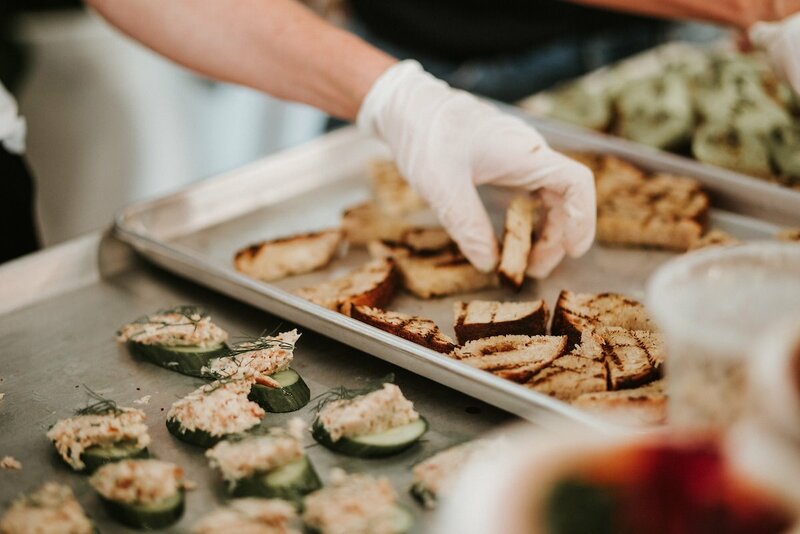 The ever-so-loved (and gorgeous, might I add) Cafe Roze catered some delicious little bites and we had some tasty wine by Tavola Wine. 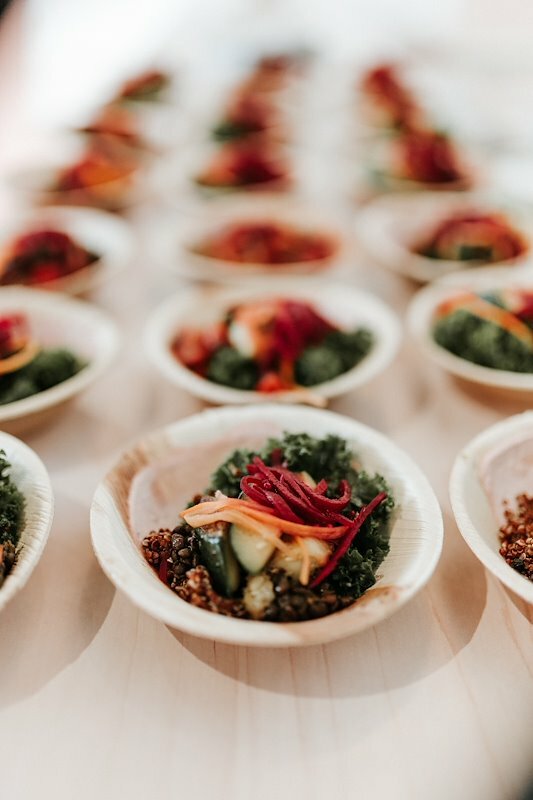 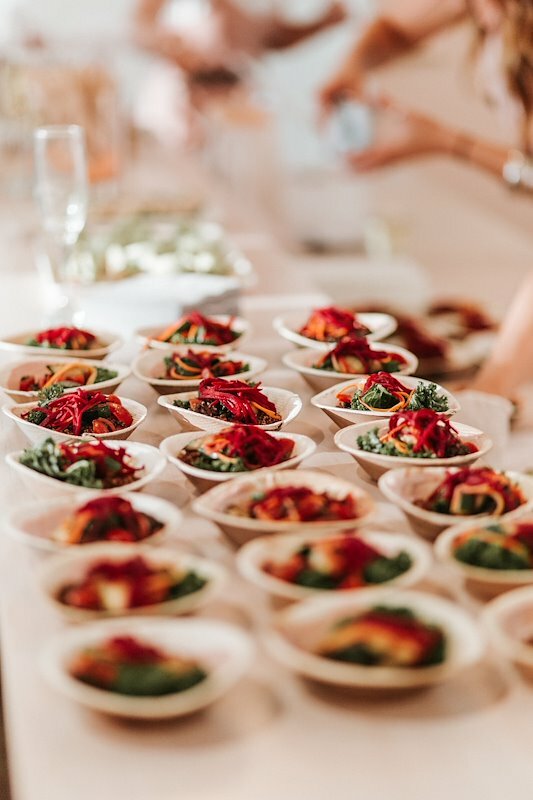 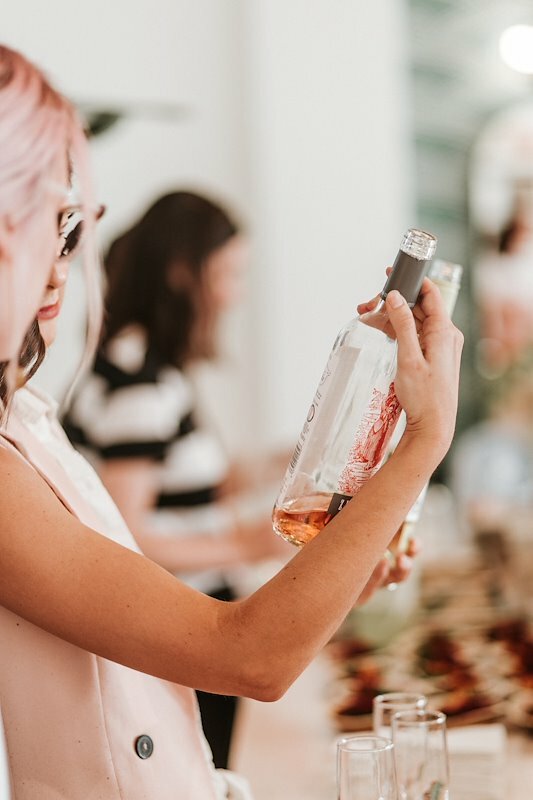 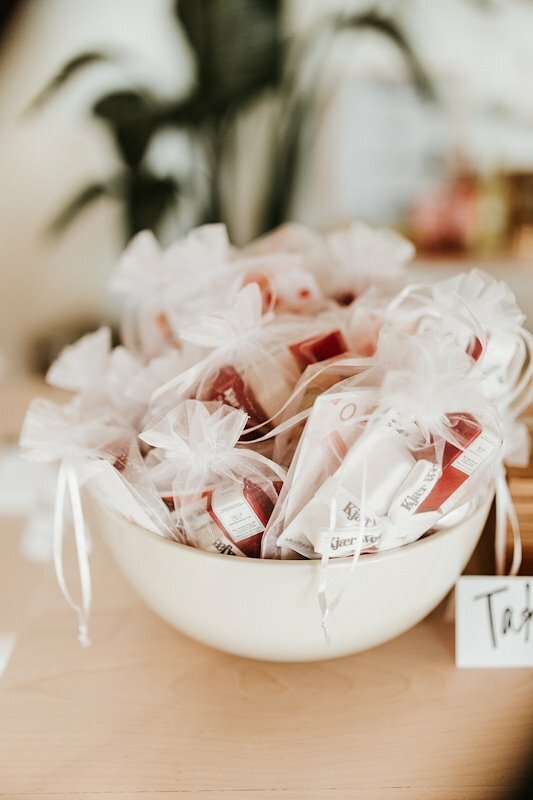 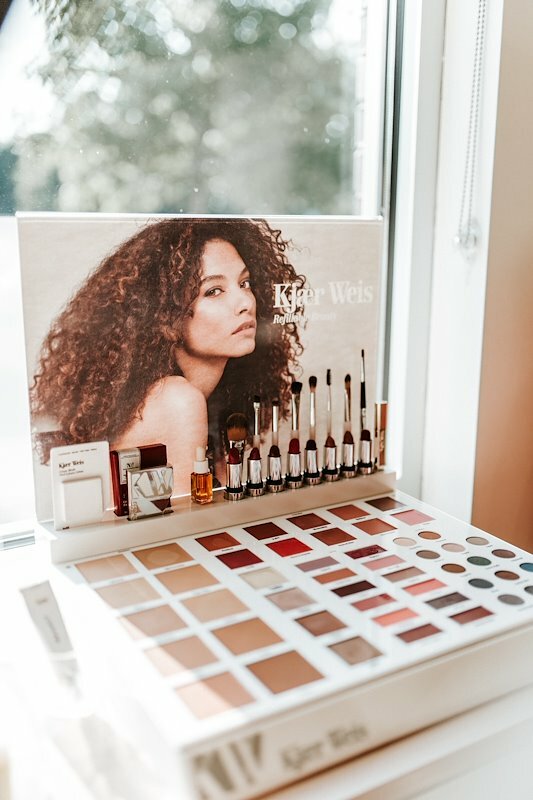 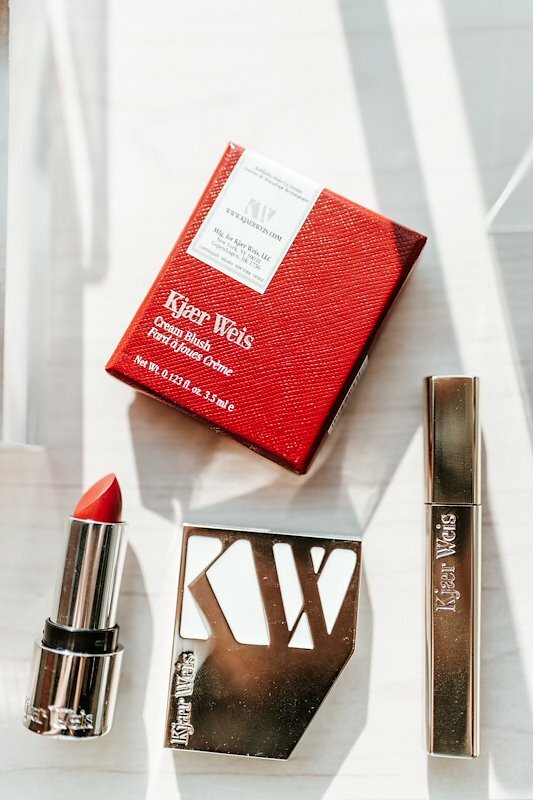 The invited guests weren’t left empty-handed, they each received curated Kjaer Weis goodie bags and were offered a divine Elements Truffles chocolate bar. 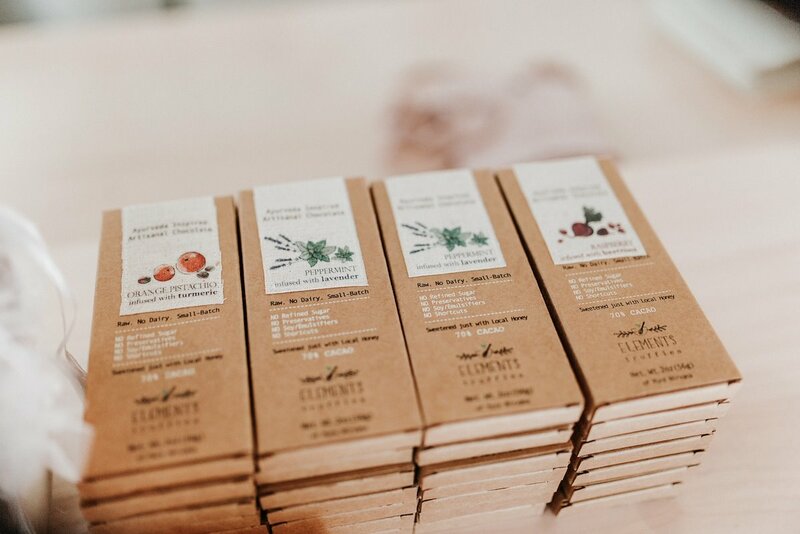 (You’ve GOT to try these chocolates if you haven’t! 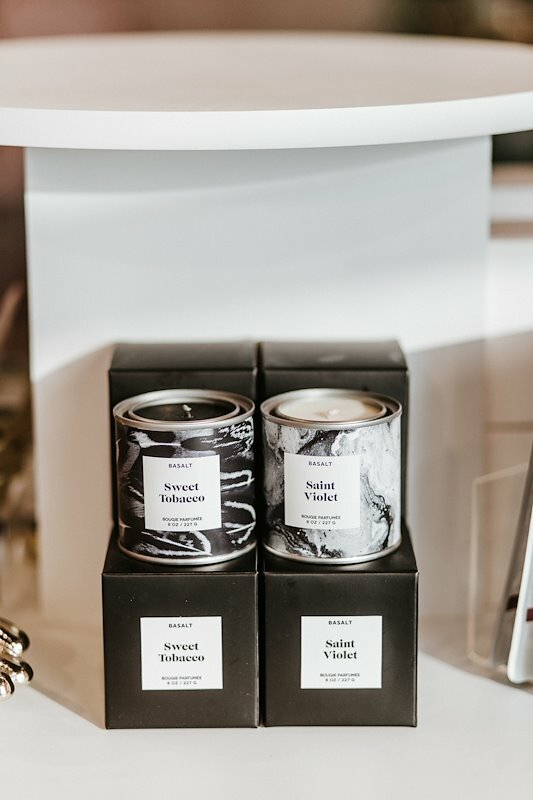 They’re Ayurveda inspired, sweetened with honey, incredibly beautiful and so decadent!) 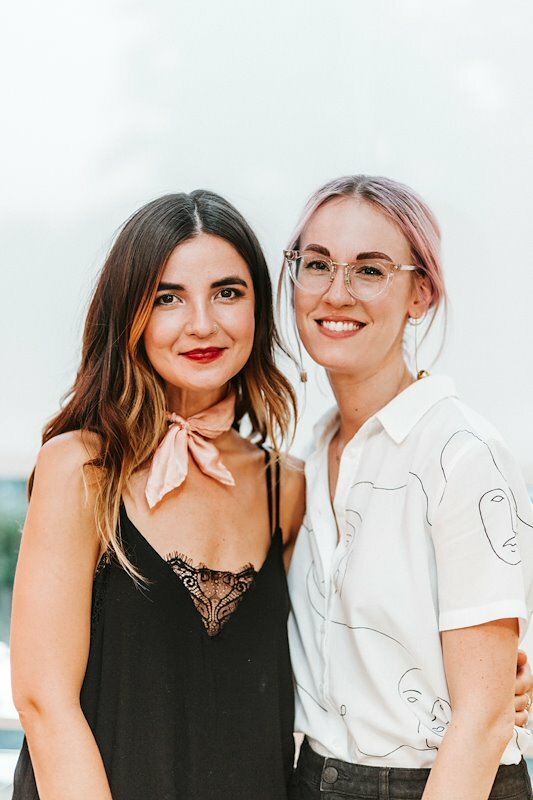 Seriously, this event was beyond what I could have ever imagined. 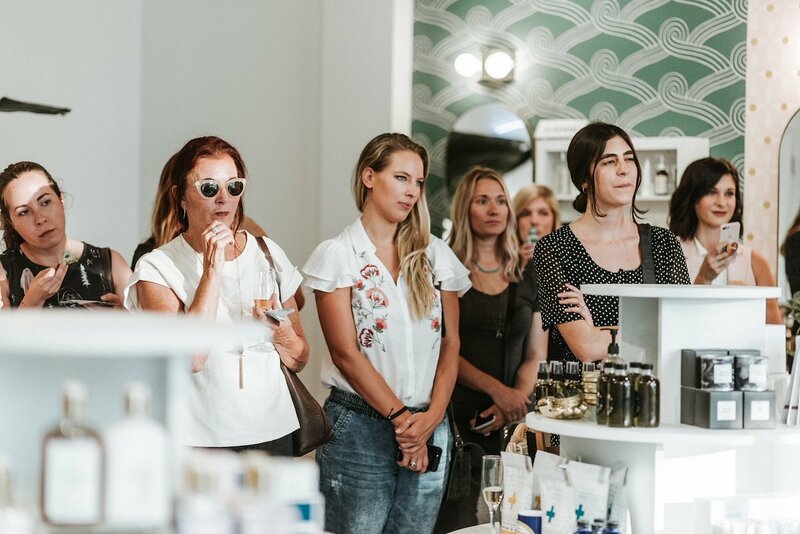 Thank you to everyone for coming out! 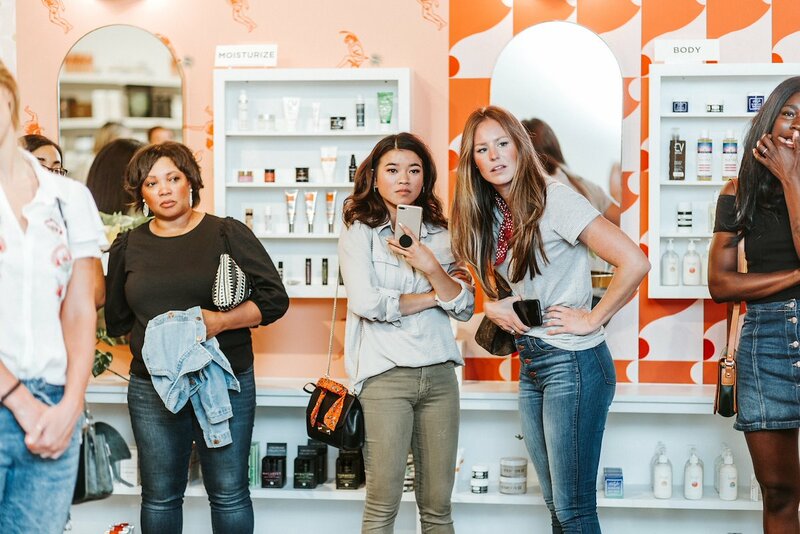 Can’t wait to host more like these in the near future!